Converts a gradient image to an BloxImage of BloxBoundaryPoints. Definition at line 43 of file itkBloxBoundaryPointToCoreAtomImageFilter.h. Definition at line 53 of file itkBloxBoundaryPointToCoreAtomImageFilter.h. Definition at line 92 of file itkBloxBoundaryPointToCoreAtomImageFilter.h. Definition at line 77 of file itkBloxBoundaryPointToCoreAtomImageFilter.h. Definition at line 71 of file itkBloxBoundaryPointToCoreAtomImageFilter.h. Reimplemented in itk::ImagePCAShapeModelEstimator< TInputImage, TOutputImage >, itk::IsolatedWatershedImageFilter< TInputImage, TOutputImage >, itk::KLMRegionGrowImageFilter< TInputImage, TOutputImage >, itk::MRFImageFilter< TInputImage, TClassifiedImage >, itk::MRIBiasFieldCorrectionFilter< TInputImage, TOutputImage, TMaskImage >, itk::RegionGrowImageFilter< TInputImage, TOutputImage >, itk::RGBGibbsPriorFilter< TInputImage, TClassifiedImage >, itk::ThresholdMaximumConnectedComponentsImageFilter< TInputImage, TOutputImage >, itk::AccumulateImageFilter< TInputImage, TOutputImage >, itk::BlackTopHatImageFilter< TInputImage, TOutputImage, TKernel >, itk::BloxBoundaryProfileImageToBloxCoreAtomImageFilter< TInputImage, TOutputImage, TSourceImage >, itk::CannyEdgeDetectionImageFilter< TInputImage, TOutputImage >, itk::ChangeInformationImageFilter< TInputImage >, itk::ClosingByReconstructionImageFilter< TInputImage, TOutputImage, TKernel >, itk::ConfidenceConnectedImageFilter< TInputImage, TOutputImage >, itk::ConnectedThresholdImageFilter< TInputImage, TOutputImage >, itk::ConstantPadImageFilter< TInputImage, TOutputImage >, itk::CropImageFilter< TInputImage, TOutputImage >, itk::ExtractImageFilter< TInputImage, TOutputImage >, itk::GrayscaleConnectedClosingImageFilter< TInputImage, TOutputImage >, itk::GrayscaleConnectedOpeningImageFilter< TInputImage, TOutputImage >, itk::GrayscaleFillholeImageFilter< TInputImage, TOutputImage >, itk::GrayscaleGrindPeakImageFilter< TInputImage, TOutputImage >, itk::HConcaveImageFilter< TInputImage, TOutputImage >, itk::HConvexImageFilter< TInputImage, TOutputImage >, itk::HMaximaImageFilter< TInputImage, TOutputImage >, itk::HMinimaImageFilter< TInputImage, TOutputImage >, itk::IsolatedConnectedImageFilter< TInputImage, TOutputImage >, itk::MirrorPadImageFilter< TInputImage, TOutputImage >, itk::MorphologicalGradientImageFilter< TInputImage, TOutputImage, TKernel >, itk::NaryFunctorImageFilter< TInputImage, TOutputImage, TFunction >, itk::NeighborhoodConnectedImageFilter< TInputImage, TOutputImage >, itk::OpeningByReconstructionImageFilter< TInputImage, TOutputImage, TKernel >, itk::OrientImageFilter< TInputImage, TOutputImage >, itk::PadImageFilter< TInputImage, TOutputImage >, itk::PasteImageFilter< TInputImage, TSourceImage, TOutputImage >, itk::PolylineMask2DImageFilter< TInputImage, TPolyline, TOutputImage >, itk::PolylineMaskImageFilter< TInputImage, TPolyline, TVector, TOutputImage >, itk::ProjectionImageFilter< TInputImage, TOutputImage, TAccumulator >, itk::ReconstructionImageFilter< TInputImage, TOutputImage, TCompare >, itk::ReflectImageFilter< TInputImage, TOutputImage >, itk::RegionOfInterestImageFilter< TInputImage, TOutputImage >, itk::ShiftScaleImageFilter< TInputImage, TOutputImage >, itk::ShiftScaleInPlaceImageFilter< TInputImage >, itk::StreamingImageFilter< TInputImage, TOutputImage >, itk::ThresholdImageFilter< TImage >, itk::TobogganImageFilter< TInputImage >, itk::UnaryFunctorImageFilter< TInputImage, TOutputImage, TFunction >, itk::VectorConfidenceConnectedImageFilter< TInputImage, TOutputImage >, itk::WhiteTopHatImageFilter< TInputImage, TOutputImage, TKernel >, itk::WrapPadImageFilter< TInputImage, TOutputImage >, itk::ZeroCrossingBasedEdgeDetectionImageFilter< TInputImage, TOutputImage >, itk::ZeroCrossingImageFilter< TInputImage, TOutputImage >, itk::ImageAndPathToImageFilter< TInputImage, TInputPath, TOutputImage >, itk::InPlaceImageFilter< TInputImage, TOutputImage >, itk::AnchorErodeDilateImageFilter< TImage, TKernel, TFunction1, TFunction2 >, itk::AnchorOpenCloseImageFilter< TImage, TKernel, LessThan, GreaterThan, LessEqual, GreaterEqual >, itk::MorphologicalWatershedFromMarkersImageFilter< TInputImage, TLabelImage >, itk::MorphologicalWatershedImageFilter< TInputImage, TOutputImage >, itk::BlackTopHatImageFilter< TInputImage, TOutputImage, TKernel >, itk::WhiteTopHatImageFilter< TInputImage, TOutputImage, TKernel >, itk::RegionalMaximaImageFilter< TInputImage, TOutputImage >, itk::RegionalMinimaImageFilter< TInputImage, TOutputImage >, itk::ValuedRegionalExtremaImageFilter< TInputImage, TOutputImage, TFunction1, TFunction2 >, itk::ValuedRegionalMaximaImageFilter< TInputImage, TOutputImage >, itk::ValuedRegionalMinimaImageFilter< TInputImage, TOutputImage >, itk::VanHerkGilWermanErodeDilateImageFilter< TImage, TKernel, TFunction1 >, itk::CannyEdgeDetectionImageFilter< Superclass::ImageType, Superclass::ImageType >, itk::NaryFunctorImageFilter< TInputImage, TOutputImage, itk::Functor::Add1< TInputImage::PixelType, TInputImage::PixelType > >, itk::NaryFunctorImageFilter< TInputImage, TOutputImage, itk::Functor::Maximum1< TInputImage::PixelType, TInputImage::PixelType > >, itk::NaryFunctorImageFilter< TInputImage, TOutputImage, itk::Functor::ComposeRGBA< TInputImage::PixelType > >, itk::ProjectionImageFilter< TInputImage, TOutputImage, itk::Function::MedianAccumulator< TInputImage::PixelType > >, itk::ProjectionImageFilter< TInputImage, TOutputImage, itk::Function::MaximumAccumulator< TInputImage::PixelType > >, itk::ProjectionImageFilter< TInputImage, TOutputImage, itk::Function::BinaryThresholdAccumulator< TInputImage::PixelType, TOutputImage::PixelType > >, itk::ProjectionImageFilter< TInputImage, TOutputImage, itk::Function::MinimumAccumulator< TInputImage::PixelType > >, itk::ProjectionImageFilter< TInputImage, TOutputImage, itk::Function::MeanAccumulator< TInputImage::PixelType, TAccumulate > >, itk::ProjectionImageFilter< TInputImage, TOutputImage, itk::Function::StandardDeviationAccumulator< TInputImage::PixelType, TAccumulate > >, itk::ProjectionImageFilter< TInputImage, TOutputImage, itk::Function::SumAccumulator< TInputImage::PixelType, TOutputImage::PixelType > >, itk::ProjectionImageFilter< TInputImage, TOutputImage, itk::Function::BinaryAccumulator< TInputImage::PixelType, TOutputImage::PixelType > >, itk::ReconstructionImageFilter< TInputImage, TOutputImage, std::greater< TOutputImage::PixelType > >, itk::ReconstructionImageFilter< TInputImage, TOutputImage, std::less< TOutputImage::PixelType > >, itk::UnaryFunctorImageFilter< TInputImage, TOutputImage, itk::Functor::DivideByConstant< TInputImage::PixelType, TConstant, TOutputImage::PixelType > >, itk::UnaryFunctorImageFilter< TInputImage, TOutputImage, itk::Function::Sqrt< TInputImage::PixelType, TOutputImage::PixelType > >, itk::UnaryFunctorImageFilter< TInputImage, TOutputImage, itk::Functor::SymmetricEigenAnalysisFunction< TInputImage::PixelType, TOutputImage::PixelType > >, itk::UnaryFunctorImageFilter< TInputImage, TOutputImage, itk::Function::Square< TInputImage::PixelType, TOutputImage::PixelType > >, itk::UnaryFunctorImageFilter< TInputImage, TOutputImage, itk::Function::Sigmoid< TInputImage::PixelType, TOutputImage::PixelType > >, itk::UnaryFunctorImageFilter< TInputImage, TOutputImage, itk::Function::Sin< TInputImage::PixelType, TOutputImage::PixelType > >, itk::UnaryFunctorImageFilter< TInputImage, TOutputImage, itk::Functor::BinaryThreshold< TInputImage::PixelType, TOutputImage::PixelType > >, itk::UnaryFunctorImageFilter< TInputImage, TOutputImage, itk::Functor::Cos< TInputImage::PixelType, TOutputImage::PixelType > >, itk::UnaryFunctorImageFilter< TInputImage, TOutputImage, itk::Functor::IntensityLinearTransform< TInputImage::PixelType, TOutputImage::PixelType > >, itk::UnaryFunctorImageFilter< TInputImage, TOutputImage, itk::Functor::ThresholdLabeler< TInputImage::PixelType, TOutputImage::PixelType > >, itk::UnaryFunctorImageFilter< TInputImage, TOutputImage, itk::Functor::MatrixIndexSelection< TInputImage::PixelType, TOutputImage::PixelType > >, itk::UnaryFunctorImageFilter< TInputImage, TOutputImage, itk::Functor::ModulusTransform< TInputImage::PixelType, TOutputImage::PixelType > >, itk::UnaryFunctorImageFilter< TInputImage, TOutputImage, itk::Functor::GradientMagnitude< TInputImage::PixelType, TOutputImage::PixelType > >, itk::UnaryFunctorImageFilter< TInputImage, TOutputImage, itk::Functor::ChangeLabel< TInputImage::PixelType, TOutputImage::PixelType > >, itk::UnaryFunctorImageFilter< TInputImage, TOutputImage, itk::Functor::BoundedReciprocal< TInputImage::PixelType, TOutputImage::PixelType > >, itk::UnaryFunctorImageFilter< TInputImage, TOutputImage, itk::Function::ExpNegative< TInputImage::PixelType, TOutputImage::PixelType > >, itk::UnaryFunctorImageFilter< TInputImage, TOutputImage, itk::Function::RGBToLuminance< TInputImage::PixelType, TOutputImage::PixelType > >, itk::UnaryFunctorImageFilter< TInputImage, TOutputImage, itk::Functor::SubtractConstantFrom< TInputImage::PixelType, TConstant, TOutputImage::PixelType > >, itk::UnaryFunctorImageFilter< TInputImage, TOutputImage, itk::Functor::Acos< TInputImage::PixelType, TOutputImage::PixelType > >, itk::UnaryFunctorImageFilter< TInputImage, TOutputImage, itk::Function::Log10< TInputImage::PixelType, TOutputImage::PixelType > >, itk::UnaryFunctorImageFilter< TInputImage, TOutputImage, itk::Function::ComplexToImaginary< TInputImage::PixelType, TOutputImage::PixelType > >, itk::UnaryFunctorImageFilter< TInputImage, TOutputImage, itk::Functor::IntensityWindowingTransform< TInputImage::PixelType, TOutputImage::PixelType > >, itk::UnaryFunctorImageFilter< TInputImage, TOutputImage, itk::Functor::VectorCast< TInputImage::PixelType, TOutputImage::PixelType > >, itk::UnaryFunctorImageFilter< TInputImage, TOutputImage, itk::Function::ComplexToPhase< TInputImage::PixelType, TOutputImage::PixelType > >, itk::UnaryFunctorImageFilter< TInputImage, TOutputImage, itk::Functor::EdgePotential< TInputImage::PixelType, TOutputImage::PixelType > >, itk::UnaryFunctorImageFilter< TInputImage, TOutputImage, itk::Functor::AddConstantTo< TInputImage::PixelType, TConstant, TOutputImage::PixelType > >, itk::UnaryFunctorImageFilter< TInputImage, TOutputImage, itk::Functor::AccessorFunctor< TInputImage::PixelType, TAccessor > >, itk::UnaryFunctorImageFilter< TInputImage, TOutputImage, itk::Functor::Atan< TInputImage::PixelType, TOutputImage::PixelType > >, itk::UnaryFunctorImageFilter< TInputImage, TOutputImage, itk::Functor::VectorIndexSelectionCast< TInputImage::PixelType, TOutputImage::PixelType > >, itk::UnaryFunctorImageFilter< TInputImage, TOutputImage, itk::Function::ComplexToReal< TInputImage::PixelType, TOutputImage::PixelType > >, itk::UnaryFunctorImageFilter< TInputImage, TOutputImage, itk::Function::Tan< TInputImage::PixelType, TOutputImage::PixelType > >, itk::UnaryFunctorImageFilter< TInputImage, TOutputImage, itk::Function::Abs< TInputImage::PixelType, TOutputImage::PixelType > >, itk::UnaryFunctorImageFilter< TInputImage, TOutputImage, itk::Function::Log< TInputImage::PixelType, TOutputImage::PixelType > >, itk::UnaryFunctorImageFilter< TInputImage, TOutputImage, itk::Functor::Asin< TInputImage::PixelType, TOutputImage::PixelType > >, itk::UnaryFunctorImageFilter< TInputImage, TOutputImage, itk::Functor::TensorFractionalAnisotropyFunction< TInputImage::PixelType > >, itk::UnaryFunctorImageFilter< TInputImage, TOutputImage, itk::Function::ComplexToModulus< TInputImage::PixelType, TOutputImage::PixelType > >, itk::UnaryFunctorImageFilter< TFeatureImageType, Superclass::ImageType, itk::Functor::Cast< TFeatureImageType::PixelType, Superclass::ImageType::PixelType > >, itk::UnaryFunctorImageFilter< TInputImage, TOutputImage, itk::Function::Exp< TInputImage::PixelType, TOutputImage::PixelType > >, itk::UnaryFunctorImageFilter< TInputImage, TOutputImage, itk::Functor::NOT< TInputImage::PixelType, TOutputImage::PixelType > >, itk::UnaryFunctorImageFilter< TInputImage, TOutputImage, itk::Functor::MultiplyByConstant< TInputImage::PixelType, TConstant, TOutputImage::PixelType > >, itk::UnaryFunctorImageFilter< TLabelImage, TOutputImage, itk::Functor::LabelToRGBFunctor< TLabelImage::PixelType, TOutputImage::PixelType > >, itk::UnaryFunctorImageFilter< TInputImage, TOutputImage, itk::Functor::VectorMagnitudeLinearTransform< TInputImage::PixelType, TOutputImage::PixelType > >, itk::UnaryFunctorImageFilter< TInputImage, TOutputImage, itk::Functor::TensorRelativeAnisotropyFunction< TInputImage::PixelType > >, itk::UnaryFunctorImageFilter< TInputImage, TOutputImage, itk::Functor::Cast< TInputImage::PixelType, TOutputImage::PixelType > >, itk::UnaryFunctorImageFilter< TInputImage, TOutputImage, itk::Functor::InvertIntensityTransform< TInputImage::PixelType, TOutputImage::PixelType > >, itk::ImageAndPathToImageFilter< TImage, itk::ParametricPath< 2 >, TImage >, itk::InPlaceImageFilter< TDeformationField, TDeformationField >, itk::InPlaceImageFilter< TLabelImage, TOutputImage >, itk::InPlaceImageFilter< TInputImage >, itk::InPlaceImageFilter< TInputImage, TSparseOutputImage >, itk::InPlaceImageFilter< TFeatureImageType, Superclass::ImageType >, itk::InPlaceImageFilter< TInputImage1, TOutputImage >, itk::InPlaceImageFilter< TInputImage, itk::Image< TOutputPixelType,::itk::GetImageDimension< TInputImage >::ImageDimension > >, itk::InPlaceImageFilter< TInputImage1, itk::Functor::MakeJoin< TInputImage1, TInputImage2 >::ImageType >, itk::InPlaceImageFilter< itk::Image< TInputPixel1, NDimension >, itk::Image< std::complex< TOutputPixel >, NDimension > >, itk::InPlaceImageFilter< TInputImageType, TSparseOutputImageType >, itk::InPlaceImageFilter< TImage, TImage >, itk::AnchorErodeDilateImageFilter< TImage, TKernel, std::less< TImage::TImage::PixelType >, std::less_equal< TImage::TImage::PixelType > >, itk::AnchorErodeDilateImageFilter< TImage, TKernel, std::greater< TImage::TImage::PixelType >, std::greater_equal< TImage::TImage::PixelType > >, itk::AnchorOpenCloseImageFilter< TImage, TKernel, std::greater< TImage::PixelType >, std::less< TImage::PixelType >, std::greater_equal< TImage::PixelType >, std::less_equal< TImage::PixelType > >, itk::AnchorOpenCloseImageFilter< TImage, TKernel, std::less< TImage::PixelType >, std::greater< TImage::PixelType >, std::less_equal< TImage::PixelType >, std::greater_equal< TImage::PixelType > >, itk::ValuedRegionalExtremaImageFilter< TInputImage, TOutputImage, std::greater< TInputImage::PixelType >, std::greater< TOutputImage::PixelType > >, itk::ValuedRegionalExtremaImageFilter< TInputImage, TOutputImage, std::less< TInputImage::PixelType >, std::less< TOutputImage::PixelType > >, itk::VanHerkGilWermanErodeDilateImageFilter< TImage, TKernel, itk::MinFunctor< TImage::PixelType > >, and itk::VanHerkGilWermanErodeDilateImageFilter< TImage, TKernel, itk::MaxFunctor< TImage::PixelType > >. Definition at line 86 of file itkImageToImageFilter.h. Definition at line 70 of file itkBloxBoundaryPointToCoreAtomImageFilter.h. Reimplemented in itk::IsolatedWatershedImageFilter< TInputImage, TOutputImage >, itk::MRFImageFilter< TInputImage, TClassifiedImage >, itk::MRIBiasFieldCorrectionFilter< TInputImage, TOutputImage, TMaskImage >, itk::OtsuMultipleThresholdsImageFilter< TInputImage, TOutputImage >, itk::OtsuThresholdImageFilter< TInputImage, TOutputImage >, itk::ThresholdMaximumConnectedComponentsImageFilter< TInputImage, TOutputImage >, itk::AccumulateImageFilter< TInputImage, TOutputImage >, itk::BinaryDilateImageFilter< TInputImage, TOutputImage, TKernel >, itk::BinaryErodeImageFilter< TInputImage, TOutputImage, TKernel >, itk::BinaryMedianImageFilter< TInputImage, TOutputImage >, itk::BinaryMorphologyImageFilter< TInputImage, TOutputImage, TKernel >, itk::BlackTopHatImageFilter< TInputImage, TOutputImage, TKernel >, itk::BloxBoundaryProfileImageToBloxCoreAtomImageFilter< TInputImage, TOutputImage, TSourceImage >, itk::ChangeInformationImageFilter< TInputImage >, itk::ClosingByReconstructionImageFilter< TInputImage, TOutputImage, TKernel >, itk::ConfidenceConnectedImageFilter< TInputImage, TOutputImage >, itk::ConnectedThresholdImageFilter< TInputImage, TOutputImage >, itk::ConstantPadImageFilter< TInputImage, TOutputImage >, itk::CropImageFilter< TInputImage, TOutputImage >, itk::ExtractImageFilter< TInputImage, TOutputImage >, itk::GrayscaleConnectedClosingImageFilter< TInputImage, TOutputImage >, itk::GrayscaleConnectedOpeningImageFilter< TInputImage, TOutputImage >, itk::GrayscaleFillholeImageFilter< TInputImage, TOutputImage >, itk::GrayscaleGrindPeakImageFilter< TInputImage, TOutputImage >, itk::HConcaveImageFilter< TInputImage, TOutputImage >, itk::HConvexImageFilter< TInputImage, TOutputImage >, itk::HMaximaImageFilter< TInputImage, TOutputImage >, itk::HMinimaImageFilter< TInputImage, TOutputImage >, itk::InverseDeformationFieldImageFilter< TInputImage, TOutputImage >, itk::IsolatedConnectedImageFilter< TInputImage, TOutputImage >, itk::IterativeInverseDeformationFieldImageFilter< TInputImage, TOutputImage >, itk::JoinSeriesImageFilter< TInputImage, TOutputImage >, itk::MeanImageFilter< TInputImage, TOutputImage >, itk::MedianImageFilter< TInputImage, TOutputImage >, itk::MirrorPadImageFilter< TInputImage, TOutputImage >, itk::MorphologicalGradientImageFilter< TInputImage, TOutputImage, TKernel >, itk::NaryFunctorImageFilter< TInputImage, TOutputImage, TFunction >, itk::NeighborhoodConnectedImageFilter< TInputImage, TOutputImage >, itk::NoiseImageFilter< TInputImage, TOutputImage >, itk::OpeningByReconstructionImageFilter< TInputImage, TOutputImage, TKernel >, itk::OrientImageFilter< TInputImage, TOutputImage >, itk::PadImageFilter< TInputImage, TOutputImage >, itk::PasteImageFilter< TInputImage, TSourceImage, TOutputImage >, itk::PolylineMask2DImageFilter< TInputImage, TPolyline, TOutputImage >, itk::PolylineMaskImageFilter< TInputImage, TPolyline, TVector, TOutputImage >, itk::ProjectionImageFilter< TInputImage, TOutputImage, TAccumulator >, itk::ReflectImageFilter< TInputImage, TOutputImage >, itk::RegionOfInterestImageFilter< TInputImage, TOutputImage >, itk::ResampleImageFilter< TInputImage, TOutputImage, TInterpolatorPrecisionType >, itk::ShiftScaleImageFilter< TInputImage, TOutputImage >, itk::ShiftScaleInPlaceImageFilter< TInputImage >, itk::SimpleContourExtractorImageFilter< TInputImage, TOutputImage >, itk::StreamingImageFilter< TInputImage, TOutputImage >, itk::ThresholdImageFilter< TImage >, itk::TileImageFilter< TInputImage, TOutputImage >, itk::UnaryFunctorImageFilter< TInputImage, TOutputImage, TFunction >, itk::VectorConfidenceConnectedImageFilter< TInputImage, TOutputImage >, itk::VectorResampleImageFilter< TInputImage, TOutputImage, TInterpolatorPrecisionType >, itk::VotingBinaryHoleFillingImageFilter< TInputImage, TOutputImage >, itk::VotingBinaryImageFilter< TInputImage, TOutputImage >, itk::VotingBinaryIterativeHoleFillingImageFilter< TImage >, itk::WhiteTopHatImageFilter< TInputImage, TOutputImage, TKernel >, itk::WrapPadImageFilter< TInputImage, TOutputImage >, itk::ImageAndPathToImageFilter< TInputImage, TInputPath, TOutputImage >, itk::InPlaceImageFilter< TInputImage, TOutputImage >, itk::AnchorErodeDilateImageFilter< TImage, TKernel, TFunction1, TFunction2 >, itk::AnchorOpenCloseImageFilter< TImage, TKernel, LessThan, GreaterThan, LessEqual, GreaterEqual >, itk::KappaSigmaThresholdImageFilter< TInputImage, TMaskImage, TOutputImage >, itk::MorphologicalWatershedFromMarkersImageFilter< TInputImage, TLabelImage >, itk::MorphologicalWatershedImageFilter< TInputImage, TOutputImage >, itk::BinaryMorphologyImageFilter< TInputImage, TOutputImage, TKernel >, itk::BlackTopHatImageFilter< TInputImage, TOutputImage, TKernel >, itk::MeanImageFilter< TInputImage, TOutputImage >, itk::MedianImageFilter< TInputImage, TOutputImage >, itk::NoiseImageFilter< TInputImage, TOutputImage >, itk::ResampleImageFilter< TInputImage, TOutputImage, TInterpolatorPrecisionType >, itk::SimpleContourExtractorImageFilter< TInputImage, TOutputImage >, itk::WhiteTopHatImageFilter< TInputImage, TOutputImage, TKernel >, itk::RegionalMaximaImageFilter< TInputImage, TOutputImage >, itk::RegionalMinimaImageFilter< TInputImage, TOutputImage >, itk::ValuedRegionalExtremaImageFilter< TInputImage, TOutputImage, TFunction1, TFunction2 >, itk::VanHerkGilWermanErodeDilateImageFilter< TImage, TKernel, TFunction1 >, itk::NaryFunctorImageFilter< TInputImage, TOutputImage, itk::Functor::Add1< TInputImage::PixelType, TInputImage::PixelType > >, itk::NaryFunctorImageFilter< TInputImage, TOutputImage, itk::Functor::Maximum1< TInputImage::PixelType, TInputImage::PixelType > >, itk::NaryFunctorImageFilter< TInputImage, TOutputImage, itk::Functor::ComposeRGBA< TInputImage::PixelType > >, itk::ProjectionImageFilter< TInputImage, TOutputImage, itk::Function::MedianAccumulator< TInputImage::PixelType > >, itk::ProjectionImageFilter< TInputImage, TOutputImage, itk::Function::MaximumAccumulator< TInputImage::PixelType > >, itk::ProjectionImageFilter< TInputImage, TOutputImage, itk::Function::BinaryThresholdAccumulator< TInputImage::PixelType, TOutputImage::PixelType > >, itk::ProjectionImageFilter< TInputImage, TOutputImage, itk::Function::MinimumAccumulator< TInputImage::PixelType > >, itk::ProjectionImageFilter< TInputImage, TOutputImage, itk::Function::MeanAccumulator< TInputImage::PixelType, TAccumulate > >, itk::ProjectionImageFilter< TInputImage, TOutputImage, itk::Function::StandardDeviationAccumulator< TInputImage::PixelType, TAccumulate > >, itk::ProjectionImageFilter< TInputImage, TOutputImage, itk::Function::SumAccumulator< TInputImage::PixelType, TOutputImage::PixelType > >, itk::ProjectionImageFilter< TInputImage, TOutputImage, itk::Function::BinaryAccumulator< TInputImage::PixelType, TOutputImage::PixelType > >, itk::UnaryFunctorImageFilter< TInputImage, TOutputImage, itk::Functor::DivideByConstant< TInputImage::PixelType, TConstant, TOutputImage::PixelType > >, itk::UnaryFunctorImageFilter< TInputImage, TOutputImage, itk::Function::Sqrt< TInputImage::PixelType, TOutputImage::PixelType > >, itk::UnaryFunctorImageFilter< TInputImage, TOutputImage, itk::Functor::SymmetricEigenAnalysisFunction< TInputImage::PixelType, TOutputImage::PixelType > >, itk::UnaryFunctorImageFilter< TInputImage, TOutputImage, itk::Function::Square< TInputImage::PixelType, TOutputImage::PixelType > >, itk::UnaryFunctorImageFilter< TInputImage, TOutputImage, itk::Function::Sigmoid< TInputImage::PixelType, TOutputImage::PixelType > >, itk::UnaryFunctorImageFilter< TInputImage, TOutputImage, itk::Function::Sin< TInputImage::PixelType, TOutputImage::PixelType > >, itk::UnaryFunctorImageFilter< TInputImage, TOutputImage, itk::Functor::BinaryThreshold< TInputImage::PixelType, TOutputImage::PixelType > >, itk::UnaryFunctorImageFilter< TInputImage, TOutputImage, itk::Functor::Cos< TInputImage::PixelType, TOutputImage::PixelType > >, itk::UnaryFunctorImageFilter< TInputImage, TOutputImage, itk::Functor::IntensityLinearTransform< TInputImage::PixelType, TOutputImage::PixelType > >, itk::UnaryFunctorImageFilter< TInputImage, TOutputImage, itk::Functor::ThresholdLabeler< TInputImage::PixelType, TOutputImage::PixelType > >, itk::UnaryFunctorImageFilter< TInputImage, TOutputImage, itk::Functor::MatrixIndexSelection< TInputImage::PixelType, TOutputImage::PixelType > >, itk::UnaryFunctorImageFilter< TInputImage, TOutputImage, itk::Functor::ModulusTransform< TInputImage::PixelType, TOutputImage::PixelType > >, itk::UnaryFunctorImageFilter< TInputImage, TOutputImage, itk::Functor::GradientMagnitude< TInputImage::PixelType, TOutputImage::PixelType > >, itk::UnaryFunctorImageFilter< TInputImage, TOutputImage, itk::Functor::ChangeLabel< TInputImage::PixelType, TOutputImage::PixelType > >, itk::UnaryFunctorImageFilter< TInputImage, TOutputImage, itk::Functor::BoundedReciprocal< TInputImage::PixelType, TOutputImage::PixelType > >, itk::UnaryFunctorImageFilter< TInputImage, TOutputImage, itk::Function::ExpNegative< TInputImage::PixelType, TOutputImage::PixelType > >, itk::UnaryFunctorImageFilter< TInputImage, TOutputImage, itk::Function::RGBToLuminance< TInputImage::PixelType, TOutputImage::PixelType > >, itk::UnaryFunctorImageFilter< TInputImage, TOutputImage, itk::Functor::SubtractConstantFrom< TInputImage::PixelType, TConstant, TOutputImage::PixelType > >, itk::UnaryFunctorImageFilter< TInputImage, TOutputImage, itk::Functor::Acos< TInputImage::PixelType, TOutputImage::PixelType > >, itk::UnaryFunctorImageFilter< TInputImage, TOutputImage, itk::Function::Log10< TInputImage::PixelType, TOutputImage::PixelType > >, itk::UnaryFunctorImageFilter< TInputImage, TOutputImage, itk::Function::ComplexToImaginary< TInputImage::PixelType, TOutputImage::PixelType > >, itk::UnaryFunctorImageFilter< TInputImage, TOutputImage, itk::Functor::IntensityWindowingTransform< TInputImage::PixelType, TOutputImage::PixelType > >, itk::UnaryFunctorImageFilter< TInputImage, TOutputImage, itk::Functor::VectorCast< TInputImage::PixelType, TOutputImage::PixelType > >, itk::UnaryFunctorImageFilter< TInputImage, TOutputImage, itk::Function::ComplexToPhase< TInputImage::PixelType, TOutputImage::PixelType > >, itk::UnaryFunctorImageFilter< TInputImage, TOutputImage, itk::Functor::EdgePotential< TInputImage::PixelType, TOutputImage::PixelType > >, itk::UnaryFunctorImageFilter< TInputImage, TOutputImage, itk::Functor::AddConstantTo< TInputImage::PixelType, TConstant, TOutputImage::PixelType > >, itk::UnaryFunctorImageFilter< TInputImage, TOutputImage, itk::Functor::AccessorFunctor< TInputImage::PixelType, TAccessor > >, itk::UnaryFunctorImageFilter< TInputImage, TOutputImage, itk::Functor::Atan< TInputImage::PixelType, TOutputImage::PixelType > >, itk::UnaryFunctorImageFilter< TInputImage, TOutputImage, itk::Functor::VectorIndexSelectionCast< TInputImage::PixelType, TOutputImage::PixelType > >, itk::UnaryFunctorImageFilter< TInputImage, TOutputImage, itk::Function::ComplexToReal< TInputImage::PixelType, TOutputImage::PixelType > >, itk::UnaryFunctorImageFilter< TInputImage, TOutputImage, itk::Function::Tan< TInputImage::PixelType, TOutputImage::PixelType > >, itk::UnaryFunctorImageFilter< TInputImage, TOutputImage, itk::Function::Abs< TInputImage::PixelType, TOutputImage::PixelType > >, itk::UnaryFunctorImageFilter< TInputImage, TOutputImage, itk::Function::Log< TInputImage::PixelType, TOutputImage::PixelType > >, itk::UnaryFunctorImageFilter< TInputImage, TOutputImage, itk::Functor::Asin< TInputImage::PixelType, TOutputImage::PixelType > >, itk::UnaryFunctorImageFilter< TInputImage, TOutputImage, itk::Functor::TensorFractionalAnisotropyFunction< TInputImage::PixelType > >, itk::UnaryFunctorImageFilter< TInputImage, TOutputImage, itk::Function::ComplexToModulus< TInputImage::PixelType, TOutputImage::PixelType > >, itk::UnaryFunctorImageFilter< TFeatureImageType, Superclass::ImageType, itk::Functor::Cast< TFeatureImageType::PixelType, Superclass::ImageType::PixelType > >, itk::UnaryFunctorImageFilter< TInputImage, TOutputImage, itk::Function::Exp< TInputImage::PixelType, TOutputImage::PixelType > >, itk::UnaryFunctorImageFilter< TInputImage, TOutputImage, itk::Functor::NOT< TInputImage::PixelType, TOutputImage::PixelType > >, itk::UnaryFunctorImageFilter< TInputImage, TOutputImage, itk::Functor::MultiplyByConstant< TInputImage::PixelType, TConstant, TOutputImage::PixelType > >, itk::UnaryFunctorImageFilter< TLabelImage, TOutputImage, itk::Functor::LabelToRGBFunctor< TLabelImage::PixelType, TOutputImage::PixelType > >, itk::UnaryFunctorImageFilter< TInputImage, TOutputImage, itk::Functor::VectorMagnitudeLinearTransform< TInputImage::PixelType, TOutputImage::PixelType > >, itk::UnaryFunctorImageFilter< TInputImage, TOutputImage, itk::Functor::TensorRelativeAnisotropyFunction< TInputImage::PixelType > >, itk::UnaryFunctorImageFilter< TInputImage, TOutputImage, itk::Functor::Cast< TInputImage::PixelType, TOutputImage::PixelType > >, itk::UnaryFunctorImageFilter< TInputImage, TOutputImage, itk::Functor::InvertIntensityTransform< TInputImage::PixelType, TOutputImage::PixelType > >, itk::ImageAndPathToImageFilter< TImage, itk::ParametricPath< 2 >, TImage >, itk::InPlaceImageFilter< TDeformationField, TDeformationField >, itk::InPlaceImageFilter< TLabelImage, TOutputImage >, itk::InPlaceImageFilter< TInputImage >, itk::InPlaceImageFilter< TInputImage, TSparseOutputImage >, itk::InPlaceImageFilter< TFeatureImageType, Superclass::ImageType >, itk::InPlaceImageFilter< TInputImage1, TOutputImage >, itk::InPlaceImageFilter< TInputImage, itk::Image< TOutputPixelType,::itk::GetImageDimension< TInputImage >::ImageDimension > >, itk::InPlaceImageFilter< TInputImage1, itk::Functor::MakeJoin< TInputImage1, TInputImage2 >::ImageType >, itk::InPlaceImageFilter< itk::Image< TInputPixel1, NDimension >, itk::Image< std::complex< TOutputPixel >, NDimension > >, itk::InPlaceImageFilter< TInputImageType, TSparseOutputImageType >, itk::InPlaceImageFilter< TImage, TImage >, itk::AnchorErodeDilateImageFilter< TImage, TKernel, std::less< TImage::TImage::PixelType >, std::less_equal< TImage::TImage::PixelType > >, itk::AnchorErodeDilateImageFilter< TImage, TKernel, std::greater< TImage::TImage::PixelType >, std::greater_equal< TImage::TImage::PixelType > >, itk::AnchorOpenCloseImageFilter< TImage, TKernel, std::greater< TImage::PixelType >, std::less< TImage::PixelType >, std::greater_equal< TImage::PixelType >, std::less_equal< TImage::PixelType > >, itk::AnchorOpenCloseImageFilter< TImage, TKernel, std::less< TImage::PixelType >, std::greater< TImage::PixelType >, std::less_equal< TImage::PixelType >, std::greater_equal< TImage::PixelType > >, itk::ValuedRegionalExtremaImageFilter< TInputImage, TOutputImage, std::greater< TInputImage::PixelType >, std::greater< TOutputImage::PixelType > >, itk::ValuedRegionalExtremaImageFilter< TInputImage, TOutputImage, std::less< TInputImage::PixelType >, std::less< TOutputImage::PixelType > >, itk::VanHerkGilWermanErodeDilateImageFilter< TImage, TKernel, itk::MinFunctor< TImage::PixelType > >, and itk::VanHerkGilWermanErodeDilateImageFilter< TImage, TKernel, itk::MaxFunctor< TImage::PixelType > >. Definition at line 85 of file itkImageToImageFilter.h. Definition at line 66 of file itkBloxBoundaryPointToCoreAtomImageFilter.h. Reimplemented in itk::BinaryThinningImageFilter< TInputImage, TOutputImage >, itk::IsolatedWatershedImageFilter< TInputImage, TOutputImage >, itk::KLMRegionGrowImageFilter< TInputImage, TOutputImage >, itk::MRIBiasFieldCorrectionFilter< TInputImage, TOutputImage, TMaskImage >, itk::RegionGrowImageFilter< TInputImage, TOutputImage >, itk::ThresholdMaximumConnectedComponentsImageFilter< TInputImage, TOutputImage >, itk::AccumulateImageFilter< TInputImage, TOutputImage >, itk::BinaryFunctorImageFilter< TInputImage1, TInputImage2, TOutputImage, TFunction >, itk::BlackTopHatImageFilter< TInputImage, TOutputImage, TKernel >, itk::BloxBoundaryPointImageToBloxBoundaryProfileImageFilter< TSourceImage >, itk::BloxBoundaryProfileImageToBloxCoreAtomImageFilter< TInputImage, TOutputImage, TSourceImage >, itk::BSplineCenteredResampleImageFilterBase< TInputImage, TOutputImage >, itk::BSplineResampleImageFilterBase< TInputImage, TOutputImage >, itk::CannyEdgeDetectionImageFilter< TInputImage, TOutputImage >, itk::ChangeInformationImageFilter< TInputImage >, itk::ClosingByReconstructionImageFilter< TInputImage, TOutputImage, TKernel >, itk::ConfidenceConnectedImageFilter< TInputImage, TOutputImage >, itk::ConnectedComponentImageFilter< TInputImage, TOutputImage, TMaskImage >, itk::ConnectedThresholdImageFilter< TInputImage, TOutputImage >, itk::ConstantPadImageFilter< TInputImage, TOutputImage >, itk::CropImageFilter< TInputImage, TOutputImage >, itk::ExtractImageFilter< TInputImage, TOutputImage >, itk::GrayscaleConnectedClosingImageFilter< TInputImage, TOutputImage >, itk::GrayscaleConnectedOpeningImageFilter< TInputImage, TOutputImage >, itk::GrayscaleFillholeImageFilter< TInputImage, TOutputImage >, itk::GrayscaleGeodesicDilateImageFilter< TInputImage, TOutputImage >, itk::GrayscaleGeodesicErodeImageFilter< TInputImage, TOutputImage >, itk::GrayscaleGrindPeakImageFilter< TInputImage, TOutputImage >, itk::HConcaveImageFilter< TInputImage, TOutputImage >, itk::HConvexImageFilter< TInputImage, TOutputImage >, itk::HMaximaImageFilter< TInputImage, TOutputImage >, itk::HMinimaImageFilter< TInputImage, TOutputImage >, itk::IsolatedConnectedImageFilter< TInputImage, TOutputImage >, itk::IterativeInverseDeformationFieldImageFilter< TInputImage, TOutputImage >, itk::JoinImageFilter< TInputImage1, TInputImage2 >, itk::MirrorPadImageFilter< TInputImage, TOutputImage >, itk::MorphologicalGradientImageFilter< TInputImage, TOutputImage, TKernel >, itk::NaryFunctorImageFilter< TInputImage, TOutputImage, TFunction >, itk::NeighborhoodConnectedImageFilter< TInputImage, TOutputImage >, itk::OpeningByReconstructionImageFilter< TInputImage, TOutputImage, TKernel >, itk::OrientImageFilter< TInputImage, TOutputImage >, itk::PadImageFilter< TInputImage, TOutputImage >, itk::PasteImageFilter< TInputImage, TSourceImage, TOutputImage >, itk::PolylineMask2DImageFilter< TInputImage, TPolyline, TOutputImage >, itk::PolylineMaskImageFilter< TInputImage, TPolyline, TVector, TOutputImage >, itk::ProjectionImageFilter< TInputImage, TOutputImage, TAccumulator >, itk::ReconstructionByDilationImageFilter< TInputImage, TOutputImage >, itk::ReconstructionByErosionImageFilter< TInputImage, TOutputImage >, itk::ReconstructionImageFilter< TInputImage, TOutputImage, TCompare >, itk::ReflectImageFilter< TInputImage, TOutputImage >, itk::RegionOfInterestImageFilter< TInputImage, TOutputImage >, itk::ScalarToArrayCastImageFilter< TInputImage, TOutputImage >, itk::ShiftScaleImageFilter< TInputImage, TOutputImage >, itk::ShiftScaleInPlaceImageFilter< TInputImage >, itk::StreamingImageFilter< TInputImage, TOutputImage >, itk::TernaryFunctorImageFilter< TInputImage1, TInputImage2, TInputImage3, TOutputImage, TFunction >, itk::ThresholdImageFilter< TImage >, itk::TobogganImageFilter< TInputImage >, itk::TwoOutputExampleImageFilter< TImage >, itk::UnaryFunctorImageFilter< TInputImage, TOutputImage, TFunction >, itk::VectorConfidenceConnectedImageFilter< TInputImage, TOutputImage >, itk::WhiteTopHatImageFilter< TInputImage, TOutputImage, TKernel >, itk::WrapPadImageFilter< TInputImage, TOutputImage >, itk::ZeroCrossingBasedEdgeDetectionImageFilter< TInputImage, TOutputImage >, itk::ZeroCrossingImageFilter< TInputImage, TOutputImage >, itk::ImageAndPathToImageFilter< TInputImage, TInputPath, TOutputImage >, itk::InPlaceImageFilter< TInputImage, TOutputImage >, itk::MorphologicalWatershedImageFilter< TInputImage, TOutputImage >, itk::BlackTopHatImageFilter< TInputImage, TOutputImage, TKernel >, itk::WhiteTopHatImageFilter< TInputImage, TOutputImage, TKernel >, itk::RegionalMaximaImageFilter< TInputImage, TOutputImage >, itk::RegionalMinimaImageFilter< TInputImage, TOutputImage >, itk::ValuedRegionalExtremaImageFilter< TInputImage, TOutputImage, TFunction1, TFunction2 >, itk::BinaryFunctorImageFilter< TInputImage1, TInputImage2, TOutputImage, itk::Function::Sub2< TInputImage1::PixelType, TInputImage2::PixelType, TOutputImage::PixelType > >, itk::BinaryFunctorImageFilter< TInputImage1, TInputImage2, TOutputImage, itk::Functor::Atan2< TInputImage1::PixelType, TInputImage2::PixelType, TOutputImage::PixelType > >, itk::BinaryFunctorImageFilter< TInputImage1, TInputImage2, TOutputImage, itk::Functor::AND< TInputImage1::PixelType, TInputImage2::PixelType, TOutputImage::PixelType > >, itk::BinaryFunctorImageFilter< TInputImage1, TInputImage2, TOutputImage, itk::Function::Maximum< TInputImage1::PixelType, TInputImage2::PixelType, TOutputImage::PixelType > >, itk::BinaryFunctorImageFilter< TInputImage1, TInputImage2, TOutputImage, itk::Functor::ConstrainedValueDifference< TInputImage1::PixelType, TInputImage2::PixelType, TOutputImage::PixelType > >, itk::BinaryFunctorImageFilter< TInputImage, TLabelImage, TOutputImage, itk::Functor::LabelOverlayFunctor< TInputImage::PixelType, TLabelImage::PixelType, TOutputImage::PixelType > >, itk::BinaryFunctorImageFilter< TInputImage1, TInputImage2, TOutputImage, itk::Functor::SquaredDifference2< TInputImage1::PixelType, TInputImage2::PixelType, TOutputImage::PixelType > >, itk::BinaryFunctorImageFilter< TInputImage, TInputImage, TOutputImage, itk::Function::Compose2DCovariantVector< TInputImage::PixelType > >, itk::BinaryFunctorImageFilter< itk::Image< TInputPixel1, NDimension >, itk::Image< TInputPixel2, NDimension >, itk::Image< std::complex< TOutputPixel >, NDimension >, itk::Functor::RealAndImaginaryToComplex< TInputPixel1, TInputPixel2, TOutputPixel > >, itk::BinaryFunctorImageFilter< TInputImage1, TInputImage2, TOutputImage, itk::Functor::Add2< TInputImage1::PixelType, TInputImage2::PixelType, TOutputImage::PixelType > >, itk::BinaryFunctorImageFilter< TInputImage, TInputImage, TOutputImage, itk::Function::Compose2DVector< TInputImage::PixelType > >, itk::BinaryFunctorImageFilter< TInputImage, TMaskImage, TOutputImage, itk::Functor::MaskInput< TInputImage::PixelType, TMaskImage::PixelType, TOutputImage::PixelType > >, itk::BinaryFunctorImageFilter< TInputImage1, TInputImage2, TOutputImage, itk::Functor::AbsoluteValueDifference2< TInputImage1::PixelType, TInputImage2::PixelType, TOutputImage::PixelType > >, itk::BinaryFunctorImageFilter< TInputImage1, TInputImage2, TOutputImage, itk::Functor::XOR< TInputImage1::PixelType, TInputImage2::PixelType, TOutputImage::PixelType > >, itk::BinaryFunctorImageFilter< TInputImage1, TInputImage2, TOutputImage, itk::Function::Minimum< TInputImage1::PixelType, TInputImage2::PixelType, TOutputImage::PixelType > >, itk::BinaryFunctorImageFilter< TInputImage, TMaskImage, TOutputImage, itk::Functor::MaskNegatedInput< TInputImage::PixelType, TMaskImage::PixelType, TOutputImage::PixelType > >, itk::BinaryFunctorImageFilter< TInputImage1, TInputImage2, TOutputImage, itk::Functor::Modulus2< TInputImage1::PixelType, TInputImage2::PixelType, TOutputImage::PixelType > >, itk::BinaryFunctorImageFilter< TInputImage1, TInputImage2, TOutputImage, itk::Functor::OR< TInputImage1::PixelType, TInputImage2::PixelType, TOutputImage::PixelType > >, itk::BinaryFunctorImageFilter< TInputImage1, TInputImage2, TOutputImage, itk::Functor::ConstrainedValueAddition< TInputImage1::PixelType, TInputImage2::PixelType, TOutputImage::PixelType > >, itk::BinaryFunctorImageFilter< TInputImage1, TInputImage2, TOutputImage, itk::Functor::WeightedAdd2< TInputImage1::PixelType, TInputImage2::PixelType, TOutputImage::PixelType > >, itk::BinaryFunctorImageFilter< TInputImage1, TInputImage2, TOutputImage, itk::Function::Div< TInputImage1::PixelType, TInputImage2::PixelType, TOutputImage::PixelType > >, itk::BinaryFunctorImageFilter< TInputImage1, TInputImage2, itk::Functor::MakeJoin< TInputImage1, TInputImage2 >::ImageType, itk::Functor::MakeJoin< TInputImage1, TInputImage2 >::itk::Functor::JoinFunctorFunctorType >, itk::BinaryFunctorImageFilter< TInputImage1, TInputImage2, TOutputImage, itk::Function::Mult< TInputImage1::PixelType, TInputImage2::PixelType, TOutputImage::PixelType > >, itk::BinaryFunctorImageFilter< itk::Image< TInputPixel1, NDimension >, itk::Image< TInputPixel2, NDimension >, itk::Image< std::complex< TOutputPixel >, NDimension >, itk::Functor::MagnitudeAndPhaseToComplex< TInputPixel1, TInputPixel2, TOutputPixel > >, itk::CannyEdgeDetectionImageFilter< Superclass::ImageType, Superclass::ImageType >, itk::NaryFunctorImageFilter< TInputImage, TOutputImage, itk::Functor::Add1< TInputImage::PixelType, TInputImage::PixelType > >, itk::NaryFunctorImageFilter< TInputImage, TOutputImage, itk::Functor::Maximum1< TInputImage::PixelType, TInputImage::PixelType > >, itk::NaryFunctorImageFilter< TInputImage, TOutputImage, itk::Functor::ComposeRGBA< TInputImage::PixelType > >, itk::ProjectionImageFilter< TInputImage, TOutputImage, itk::Function::MedianAccumulator< TInputImage::PixelType > >, itk::ProjectionImageFilter< TInputImage, TOutputImage, itk::Function::MaximumAccumulator< TInputImage::PixelType > >, itk::ProjectionImageFilter< TInputImage, TOutputImage, itk::Function::BinaryThresholdAccumulator< TInputImage::PixelType, TOutputImage::PixelType > >, itk::ProjectionImageFilter< TInputImage, TOutputImage, itk::Function::MinimumAccumulator< TInputImage::PixelType > >, itk::ProjectionImageFilter< TInputImage, TOutputImage, itk::Function::MeanAccumulator< TInputImage::PixelType, TAccumulate > >, itk::ProjectionImageFilter< TInputImage, TOutputImage, itk::Function::StandardDeviationAccumulator< TInputImage::PixelType, TAccumulate > >, itk::ProjectionImageFilter< TInputImage, TOutputImage, itk::Function::SumAccumulator< TInputImage::PixelType, TOutputImage::PixelType > >, itk::ProjectionImageFilter< TInputImage, TOutputImage, itk::Function::BinaryAccumulator< TInputImage::PixelType, TOutputImage::PixelType > >, itk::ReconstructionImageFilter< TInputImage, TOutputImage, std::greater< TOutputImage::PixelType > >, itk::ReconstructionImageFilter< TInputImage, TOutputImage, std::less< TOutputImage::PixelType > >, itk::TernaryFunctorImageFilter< TInputImage, TInputImage, TInputImage, TOutputImage, itk::Function::Compose3DVector< TInputImage::PixelType > >, itk::TernaryFunctorImageFilter< TInputImage1, TInputImage2, TInputImage3, TOutputImage, itk::Function::Modulus3< TInputImage1::PixelType, TInputImage2::PixelType, TInputImage3::PixelType, TOutputImage::PixelType > >, itk::TernaryFunctorImageFilter< TInputImage1, TInputImage2, TInputImage3, TOutputImage, itk::Function::ModulusSquare3< TInputImage1::PixelType, TInputImage2::PixelType, TInputImage3::PixelType, TOutputImage::PixelType > >, itk::TernaryFunctorImageFilter< TInputImage1, TInputImage2, TInputImage3, TOutputImage, itk::Function::Add3< TInputImage1::PixelType, TInputImage2::PixelType, TInputImage3::PixelType, TOutputImage::PixelType > >, itk::TernaryFunctorImageFilter< TInputImage, TInputImage, TInputImage, TOutputImage, itk::Function::Compose3DCovariantVector< TInputImage::PixelType > >, itk::TernaryFunctorImageFilter< TInputImage, TInputImage, TInputImage, TOutputImage, itk::Function::ComposeRGB< TInputImage::PixelType > >, itk::UnaryFunctorImageFilter< TInputImage, TOutputImage, itk::Functor::DivideByConstant< TInputImage::PixelType, TConstant, TOutputImage::PixelType > >, itk::UnaryFunctorImageFilter< TInputImage, TOutputImage, itk::Function::Sqrt< TInputImage::PixelType, TOutputImage::PixelType > >, itk::UnaryFunctorImageFilter< TInputImage, TOutputImage, itk::Functor::SymmetricEigenAnalysisFunction< TInputImage::PixelType, TOutputImage::PixelType > >, itk::UnaryFunctorImageFilter< TInputImage, TOutputImage, itk::Function::Square< TInputImage::PixelType, TOutputImage::PixelType > >, itk::UnaryFunctorImageFilter< TInputImage, TOutputImage, itk::Function::Sigmoid< TInputImage::PixelType, TOutputImage::PixelType > >, itk::UnaryFunctorImageFilter< TInputImage, TOutputImage, itk::Function::Sin< TInputImage::PixelType, TOutputImage::PixelType > >, itk::UnaryFunctorImageFilter< TInputImage, TOutputImage, itk::Functor::BinaryThreshold< TInputImage::PixelType, TOutputImage::PixelType > >, itk::UnaryFunctorImageFilter< TInputImage, TOutputImage, itk::Functor::Cos< TInputImage::PixelType, TOutputImage::PixelType > >, itk::UnaryFunctorImageFilter< TInputImage, TOutputImage, itk::Functor::IntensityLinearTransform< TInputImage::PixelType, TOutputImage::PixelType > >, itk::UnaryFunctorImageFilter< TInputImage, TOutputImage, itk::Functor::ThresholdLabeler< TInputImage::PixelType, TOutputImage::PixelType > >, itk::UnaryFunctorImageFilter< TInputImage, TOutputImage, itk::Functor::MatrixIndexSelection< TInputImage::PixelType, TOutputImage::PixelType > >, itk::UnaryFunctorImageFilter< TInputImage, TOutputImage, itk::Functor::ModulusTransform< TInputImage::PixelType, TOutputImage::PixelType > >, itk::UnaryFunctorImageFilter< TInputImage, TOutputImage, itk::Functor::GradientMagnitude< TInputImage::PixelType, TOutputImage::PixelType > >, itk::UnaryFunctorImageFilter< TInputImage, TOutputImage, itk::Functor::ChangeLabel< TInputImage::PixelType, TOutputImage::PixelType > >, itk::UnaryFunctorImageFilter< TInputImage, TOutputImage, itk::Functor::BoundedReciprocal< TInputImage::PixelType, TOutputImage::PixelType > >, itk::UnaryFunctorImageFilter< TInputImage, TOutputImage, itk::Function::ExpNegative< TInputImage::PixelType, TOutputImage::PixelType > >, itk::UnaryFunctorImageFilter< TInputImage, TOutputImage, itk::Function::RGBToLuminance< TInputImage::PixelType, TOutputImage::PixelType > >, itk::UnaryFunctorImageFilter< TInputImage, TOutputImage, itk::Functor::SubtractConstantFrom< TInputImage::PixelType, TConstant, TOutputImage::PixelType > >, itk::UnaryFunctorImageFilter< TInputImage, TOutputImage, itk::Functor::Acos< TInputImage::PixelType, TOutputImage::PixelType > >, itk::UnaryFunctorImageFilter< TInputImage, TOutputImage, itk::Function::Log10< TInputImage::PixelType, TOutputImage::PixelType > >, itk::UnaryFunctorImageFilter< TInputImage, TOutputImage, itk::Function::ComplexToImaginary< TInputImage::PixelType, TOutputImage::PixelType > >, itk::UnaryFunctorImageFilter< TInputImage, TOutputImage, itk::Functor::IntensityWindowingTransform< TInputImage::PixelType, TOutputImage::PixelType > >, itk::UnaryFunctorImageFilter< TInputImage, TOutputImage, itk::Functor::VectorCast< TInputImage::PixelType, TOutputImage::PixelType > >, itk::UnaryFunctorImageFilter< TInputImage, TOutputImage, itk::Function::ComplexToPhase< TInputImage::PixelType, TOutputImage::PixelType > >, itk::UnaryFunctorImageFilter< TInputImage, TOutputImage, itk::Functor::EdgePotential< TInputImage::PixelType, TOutputImage::PixelType > >, itk::UnaryFunctorImageFilter< TInputImage, TOutputImage, itk::Functor::AddConstantTo< TInputImage::PixelType, TConstant, TOutputImage::PixelType > >, itk::UnaryFunctorImageFilter< TInputImage, TOutputImage, itk::Functor::AccessorFunctor< TInputImage::PixelType, TAccessor > >, itk::UnaryFunctorImageFilter< TInputImage, TOutputImage, itk::Functor::Atan< TInputImage::PixelType, TOutputImage::PixelType > >, itk::UnaryFunctorImageFilter< TInputImage, TOutputImage, itk::Functor::VectorIndexSelectionCast< TInputImage::PixelType, TOutputImage::PixelType > >, itk::UnaryFunctorImageFilter< TInputImage, TOutputImage, itk::Function::ComplexToReal< TInputImage::PixelType, TOutputImage::PixelType > >, itk::UnaryFunctorImageFilter< TInputImage, TOutputImage, itk::Function::Tan< TInputImage::PixelType, TOutputImage::PixelType > >, itk::UnaryFunctorImageFilter< TInputImage, TOutputImage, itk::Function::Abs< TInputImage::PixelType, TOutputImage::PixelType > >, itk::UnaryFunctorImageFilter< TInputImage, TOutputImage, itk::Function::Log< TInputImage::PixelType, TOutputImage::PixelType > >, itk::UnaryFunctorImageFilter< TInputImage, TOutputImage, itk::Functor::Asin< TInputImage::PixelType, TOutputImage::PixelType > >, itk::UnaryFunctorImageFilter< TInputImage, TOutputImage, itk::Functor::TensorFractionalAnisotropyFunction< TInputImage::PixelType > >, itk::UnaryFunctorImageFilter< TInputImage, TOutputImage, itk::Function::ComplexToModulus< TInputImage::PixelType, TOutputImage::PixelType > >, itk::UnaryFunctorImageFilter< TFeatureImageType, Superclass::ImageType, itk::Functor::Cast< TFeatureImageType::PixelType, Superclass::ImageType::PixelType > >, itk::UnaryFunctorImageFilter< TInputImage, TOutputImage, itk::Function::Exp< TInputImage::PixelType, TOutputImage::PixelType > >, itk::UnaryFunctorImageFilter< TInputImage, TOutputImage, itk::Functor::NOT< TInputImage::PixelType, TOutputImage::PixelType > >, itk::UnaryFunctorImageFilter< TInputImage, TOutputImage, itk::Functor::MultiplyByConstant< TInputImage::PixelType, TConstant, TOutputImage::PixelType > >, itk::UnaryFunctorImageFilter< TLabelImage, TOutputImage, itk::Functor::LabelToRGBFunctor< TLabelImage::PixelType, TOutputImage::PixelType > >, itk::UnaryFunctorImageFilter< TInputImage, TOutputImage, itk::Functor::VectorMagnitudeLinearTransform< TInputImage::PixelType, TOutputImage::PixelType > >, itk::UnaryFunctorImageFilter< TInputImage, TOutputImage, itk::Functor::TensorRelativeAnisotropyFunction< TInputImage::PixelType > >, itk::UnaryFunctorImageFilter< TInputImage, TOutputImage, itk::Functor::Cast< TInputImage::PixelType, TOutputImage::PixelType > >, itk::UnaryFunctorImageFilter< TInputImage, TOutputImage, itk::Functor::InvertIntensityTransform< TInputImage::PixelType, TOutputImage::PixelType > >, itk::ImageAndPathToImageFilter< TImage, itk::ParametricPath< 2 >, TImage >, itk::InPlaceImageFilter< TDeformationField, TDeformationField >, itk::InPlaceImageFilter< TLabelImage, TOutputImage >, itk::InPlaceImageFilter< TInputImage >, itk::InPlaceImageFilter< TInputImage, TSparseOutputImage >, itk::InPlaceImageFilter< TFeatureImageType, Superclass::ImageType >, itk::InPlaceImageFilter< TInputImage1, TOutputImage >, itk::InPlaceImageFilter< TInputImage, itk::Image< TOutputPixelType,::itk::GetImageDimension< TInputImage >::ImageDimension > >, itk::InPlaceImageFilter< TInputImage1, itk::Functor::MakeJoin< TInputImage1, TInputImage2 >::ImageType >, itk::InPlaceImageFilter< itk::Image< TInputPixel1, NDimension >, itk::Image< std::complex< TOutputPixel >, NDimension > >, itk::InPlaceImageFilter< TInputImageType, TSparseOutputImageType >, itk::InPlaceImageFilter< TImage, TImage >, itk::ValuedRegionalExtremaImageFilter< TInputImage, TOutputImage, std::greater< TInputImage::PixelType >, std::greater< TOutputImage::PixelType > >, and itk::ValuedRegionalExtremaImageFilter< TInputImage, TOutputImage, std::less< TInputImage::PixelType >, std::less< TOutputImage::PixelType > >. Definition at line 79 of file itkImageToImageFilter.h. Definition at line 69 of file itkBloxBoundaryPointToCoreAtomImageFilter.h. Definition at line 83 of file itkBloxBoundaryPointToCoreAtomImageFilter.h. Definition at line 68 of file itkBloxBoundaryPointToCoreAtomImageFilter.h. Definition at line 80 of file itkBloxBoundaryPointToCoreAtomImageFilter.h. Definition at line 52 of file itkBloxBoundaryPointToCoreAtomImageFilter.h. Definition at line 86 of file itkBloxBoundaryPointToCoreAtomImageFilter.h. Definition at line 49 of file itkBloxBoundaryPointToCoreAtomImageFilter.h. Definition at line 74 of file itkBloxBoundaryPointToCoreAtomImageFilter.h. Definition at line 51 of file itkBloxBoundaryPointToCoreAtomImageFilter.h. Definition at line 65 of file itkBloxBoundaryPointToCoreAtomImageFilter.h. Definition at line 67 of file itkBloxBoundaryPointToCoreAtomImageFilter.h. Definition at line 89 of file itkBloxBoundaryPointToCoreAtomImageFilter.h. Definition at line 112 of file itkBloxBoundaryPointToCoreAtomImageFilter.h. The GenerateData method normally allocates the buffers for all of the outputs of a filter. Some filters may want to override this default behavior. For example, a filter may have multiple outputs with varying resolution. Or a filter may want to process data in place by grafting its input to its output. Reimplemented in itk::BayesianClassifierImageFilter< TInputVectorImage, TLabelsType, TPosteriorsPrecisionType, TPriorsPrecisionType >, itk::ContourDirectedMeanDistanceImageFilter< TInputImage1, TInputImage2 >, itk::DirectedHausdorffDistanceImageFilter< TInputImage1, TInputImage2 >, itk::ImageToVectorImageFilter< TInputImage >, itk::LabelStatisticsImageFilter< TInputImage, TLabelImage >, itk::MinimumMaximumImageFilter< TInputImage >, itk::SimilarityIndexImageFilter< TInputImage1, TInputImage2 >, itk::StatisticsImageFilter< TInputImage >, itk::InPlaceImageFilter< TInputImage, TOutputImage >, itk::MaskedMovingHistogramImageFilter< TInputImage, TMaskImage, TOutputImage, TKernel, THistogram >, itk::InPlaceImageFilter< TDeformationField, TDeformationField >, itk::InPlaceImageFilter< TLabelImage, TOutputImage >, itk::InPlaceImageFilter< TInputImage >, itk::InPlaceImageFilter< TInputImage, TSparseOutputImage >, itk::InPlaceImageFilter< TFeatureImageType, Superclass::ImageType >, itk::InPlaceImageFilter< TInputImage1, TOutputImage >, itk::InPlaceImageFilter< TInputImage, itk::Image< TOutputPixelType,::itk::GetImageDimension< TInputImage >::ImageDimension > >, itk::InPlaceImageFilter< TInputImage1, itk::Functor::MakeJoin< TInputImage1, TInputImage2 >::ImageType >, itk::InPlaceImageFilter< itk::Image< TInputPixel1, NDimension >, itk::Image< std::complex< TOutputPixel >, NDimension > >, itk::InPlaceImageFilter< TInputImageType, TSparseOutputImageType >, itk::InPlaceImageFilter< TImage, TImage >, and itk::MaskedMovingHistogramImageFilter< TInputImage, TMaskImage, TOutputImage, TKernel, itk::MaskedRankHistogram< TInputImage::PixelType > >. Walk the input image, find core atoms, store them. Find core atoms given a specific boundary point. Method for forming the BloxBoundaryPointImage. Reimplemented in itk::BinaryPruningImageFilter< TInputImage, TOutputImage >, itk::BinaryThinningImageFilter< TInputImage, TOutputImage >, itk::GradientVectorFlowImageFilter< TInputImage, TOutputImage >, itk::HistogramMatchingImageFilter< TInputImage, TOutputImage, THistogramMeasurement >, itk::IsoContourDistanceImageFilter< TInputImage, TOutputImage >, itk::KLMRegionGrowImageFilter< TInputImage, TOutputImage >, itk::MultiResolutionPyramidImageFilter< TInputImage, TOutputImage >, itk::OtsuMultipleThresholdsImageFilter< TInputImage, TOutputImage >, itk::OtsuThresholdImageFilter< TInputImage, TOutputImage >, itk::VoronoiPartitioningImageFilter< TInputImage, TOutputImage >, itk::VoronoiSegmentationImageFilter< TInputImage, TOutputImage, TBinaryPriorImage >, itk::VoronoiSegmentationRGBImageFilter< TInputImage, TOutputImage >, itk::AccumulateImageFilter< TInputImage, TOutputImage >, itk::BinaryDilateImageFilter< TInputImage, TOutputImage, TKernel >, itk::BinaryErodeImageFilter< TInputImage, TOutputImage, TKernel >, itk::BinaryFunctorImageFilter< TInputImage1, TInputImage2, TOutputImage, TFunction >, itk::BinaryMedianImageFilter< TInputImage, TOutputImage >, itk::BinaryMorphologyImageFilter< TInputImage, TOutputImage, TKernel >, itk::BlackTopHatImageFilter< TInputImage, TOutputImage, TKernel >, itk::BSplineDecompositionImageFilter< TInputImage, TOutputImage >, itk::CannyEdgeDetectionImageFilter< TInputImage, TOutputImage >, itk::ClosingByReconstructionImageFilter< TInputImage, TOutputImage, TKernel >, itk::ConnectedComponentImageFilter< TInputImage, TOutputImage, TMaskImage >, itk::ConnectedThresholdImageFilter< TInputImage, TOutputImage >, itk::ConstantPadImageFilter< TInputImage, TOutputImage >, itk::DanielssonDistanceMapImageFilter< TInputImage, TOutputImage >, itk::ExtractImageFilter< TInputImage, TOutputImage >, itk::FastIncrementalBinaryDilateImageFilter< TInputImage, TOutputImage, TKernel >, itk::GrayscaleConnectedClosingImageFilter< TInputImage, TOutputImage >, itk::GrayscaleConnectedOpeningImageFilter< TInputImage, TOutputImage >, itk::GrayscaleDilateImageFilter< TInputImage, TOutputImage, TKernel >, itk::GrayscaleErodeImageFilter< TInputImage, TOutputImage, TKernel >, itk::GrayscaleFillholeImageFilter< TInputImage, TOutputImage >, itk::GrayscaleFunctionDilateImageFilter< TInputImage, TOutputImage, TKernel >, itk::GrayscaleFunctionErodeImageFilter< TInputImage, TOutputImage, TKernel >, itk::GrayscaleGeodesicDilateImageFilter< TInputImage, TOutputImage >, itk::GrayscaleGeodesicErodeImageFilter< TInputImage, TOutputImage >, itk::GrayscaleGrindPeakImageFilter< TInputImage, TOutputImage >, itk::GrayscaleMorphologicalClosingImageFilter< TInputImage, TOutputImage, TKernel >, itk::GrayscaleMorphologicalOpeningImageFilter< TInputImage, TOutputImage, TKernel >, itk::HConcaveImageFilter< TInputImage, TOutputImage >, itk::HConvexImageFilter< TInputImage, TOutputImage >, itk::HMaximaImageFilter< TInputImage, TOutputImage >, itk::HMinimaImageFilter< TInputImage, TOutputImage >, itk::JoinSeriesImageFilter< TInputImage, TOutputImage >, itk::MeanImageFilter< TInputImage, TOutputImage >, itk::MedianImageFilter< TInputImage, TOutputImage >, itk::MinimumMaximumImageFilter< TInputImage >, itk::MorphologicalGradientImageFilter< TInputImage, TOutputImage, TKernel >, itk::NaryFunctorImageFilter< TInputImage, TOutputImage, TFunction >, itk::NeighborhoodConnectedImageFilter< TInputImage, TOutputImage >, itk::NoiseImageFilter< TInputImage, TOutputImage >, itk::NonThreadedShrinkImageFilter< TInputImage, TOutputImage >, itk::ObjectMorphologyImageFilter< TInputImage, TOutputImage, TKernel >, itk::OpeningByReconstructionImageFilter< TInputImage, TOutputImage, TKernel >, itk::OrientImageFilter< TInputImage, TOutputImage >, itk::PasteImageFilter< TInputImage, TSourceImage, TOutputImage >, itk::ProjectionImageFilter< TInputImage, TOutputImage, TAccumulator >, itk::ReconstructionByDilationImageFilter< TInputImage, TOutputImage >, itk::ReconstructionByErosionImageFilter< TInputImage, TOutputImage >, itk::ReconstructionImageFilter< TInputImage, TOutputImage, TCompare >, itk::ReflectImageFilter< TInputImage, TOutputImage >, itk::RegionOfInterestImageFilter< TInputImage, TOutputImage >, itk::ShrinkImageFilter< TInputImage, TOutputImage >, itk::SignedMaurerDistanceMapImageFilter< TInputImage, TOutputImage >, itk::SimpleContourExtractorImageFilter< TInputImage, TOutputImage >, itk::TernaryFunctorImageFilter< TInputImage1, TInputImage2, TInputImage3, TOutputImage, TFunction >, itk::TileImageFilter< TInputImage, TOutputImage >, itk::TileImageFilter< TInputImage, TOutputImage >, itk::VotingBinaryHoleFillingImageFilter< TInputImage, TOutputImage >, itk::VotingBinaryImageFilter< TInputImage, TOutputImage >, itk::WhiteTopHatImageFilter< TInputImage, TOutputImage, TKernel >, itk::ZeroCrossingBasedEdgeDetectionImageFilter< TInputImage, TOutputImage >, itk::ZeroCrossingImageFilter< TInputImage, TOutputImage >, itk::ImageAndPathToImageFilter< TInputImage, TInputPath, TOutputImage >, itk::InPlaceImageFilter< TInputImage, TOutputImage >, itk::AnchorErodeDilateImageFilter< TImage, TKernel, TFunction1, TFunction2 >, itk::AnchorOpenCloseImageFilter< TImage, TKernel, LessThan, GreaterThan, LessEqual, GreaterEqual >, itk::BasicDilateImageFilter< TInputImage, TOutputImage, TKernel >, itk::BasicErodeImageFilter< TInputImage, TOutputImage, TKernel >, itk::BoxMeanImageFilter< TInputImage, TOutputImage >, itk::BoxSigmaImageFilter< TInputImage, TOutputImage >, itk::KappaSigmaThresholdImageFilter< TInputImage, TMaskImage, TOutputImage >, itk::MorphologicalWatershedImageFilter< TInputImage, TOutputImage >, itk::BinaryMorphologyImageFilter< TInputImage, TOutputImage, TKernel >, itk::BlackTopHatImageFilter< TInputImage, TOutputImage, TKernel >, itk::MeanImageFilter< TInputImage, TOutputImage >, itk::MedianImageFilter< TInputImage, TOutputImage >, itk::NoiseImageFilter< TInputImage, TOutputImage >, itk::SimpleContourExtractorImageFilter< TInputImage, TOutputImage >, itk::WhiteTopHatImageFilter< TInputImage, TOutputImage, TKernel >, itk::RegionalMaximaImageFilter< TInputImage, TOutputImage >, itk::RegionalMinimaImageFilter< TInputImage, TOutputImage >, itk::ValuedRegionalExtremaImageFilter< TInputImage, TOutputImage, TFunction1, TFunction2 >, itk::VanHerkGilWermanErodeDilateImageFilter< TImage, TKernel, TFunction1 >, itk::BinaryFunctorImageFilter< TInputImage1, TInputImage2, TOutputImage, itk::Function::Sub2< TInputImage1::PixelType, TInputImage2::PixelType, TOutputImage::PixelType > >, itk::BinaryFunctorImageFilter< TInputImage1, TInputImage2, TOutputImage, itk::Functor::Atan2< TInputImage1::PixelType, TInputImage2::PixelType, TOutputImage::PixelType > >, itk::BinaryFunctorImageFilter< TInputImage1, TInputImage2, TOutputImage, itk::Functor::AND< TInputImage1::PixelType, TInputImage2::PixelType, TOutputImage::PixelType > >, itk::BinaryFunctorImageFilter< TInputImage1, TInputImage2, TOutputImage, itk::Function::Maximum< TInputImage1::PixelType, TInputImage2::PixelType, TOutputImage::PixelType > >, itk::BinaryFunctorImageFilter< TInputImage1, TInputImage2, TOutputImage, itk::Functor::ConstrainedValueDifference< TInputImage1::PixelType, TInputImage2::PixelType, TOutputImage::PixelType > >, itk::BinaryFunctorImageFilter< TInputImage, TLabelImage, TOutputImage, itk::Functor::LabelOverlayFunctor< TInputImage::PixelType, TLabelImage::PixelType, TOutputImage::PixelType > >, itk::BinaryFunctorImageFilter< TInputImage1, TInputImage2, TOutputImage, itk::Functor::SquaredDifference2< TInputImage1::PixelType, TInputImage2::PixelType, TOutputImage::PixelType > >, itk::BinaryFunctorImageFilter< TInputImage, TInputImage, TOutputImage, itk::Function::Compose2DCovariantVector< TInputImage::PixelType > >, itk::BinaryFunctorImageFilter< TInputImage1, TInputImage2, TOutputImage, itk::Functor::Add2< TInputImage1::PixelType, TInputImage2::PixelType, TOutputImage::PixelType > >, itk::BinaryFunctorImageFilter< TInputImage, TInputImage, TOutputImage, itk::Function::Compose2DVector< TInputImage::PixelType > >, itk::BinaryFunctorImageFilter< TInputImage, TMaskImage, TOutputImage, itk::Functor::MaskInput< TInputImage::PixelType, TMaskImage::PixelType, TOutputImage::PixelType > >, itk::BinaryFunctorImageFilter< TInputImage1, TInputImage2, TOutputImage, itk::Functor::AbsoluteValueDifference2< TInputImage1::PixelType, TInputImage2::PixelType, TOutputImage::PixelType > >, itk::BinaryFunctorImageFilter< TInputImage1, TInputImage2, TOutputImage, itk::Functor::XOR< TInputImage1::PixelType, TInputImage2::PixelType, TOutputImage::PixelType > >, itk::BinaryFunctorImageFilter< TInputImage1, TInputImage2, TOutputImage, itk::Function::Minimum< TInputImage1::PixelType, TInputImage2::PixelType, TOutputImage::PixelType > >, itk::BinaryFunctorImageFilter< TInputImage, TMaskImage, TOutputImage, itk::Functor::MaskNegatedInput< TInputImage::PixelType, TMaskImage::PixelType, TOutputImage::PixelType > >, itk::BinaryFunctorImageFilter< TInputImage1, TInputImage2, TOutputImage, itk::Functor::Modulus2< TInputImage1::PixelType, TInputImage2::PixelType, TOutputImage::PixelType > >, itk::BinaryFunctorImageFilter< TInputImage1, TInputImage2, TOutputImage, itk::Functor::OR< TInputImage1::PixelType, TInputImage2::PixelType, TOutputImage::PixelType > >, itk::BinaryFunctorImageFilter< TInputImage1, TInputImage2, TOutputImage, itk::Functor::ConstrainedValueAddition< TInputImage1::PixelType, TInputImage2::PixelType, TOutputImage::PixelType > >, itk::BinaryFunctorImageFilter< TInputImage1, TInputImage2, TOutputImage, itk::Functor::WeightedAdd2< TInputImage1::PixelType, TInputImage2::PixelType, TOutputImage::PixelType > >, itk::BinaryFunctorImageFilter< TInputImage1, TInputImage2, TOutputImage, itk::Function::Div< TInputImage1::PixelType, TInputImage2::PixelType, TOutputImage::PixelType > >, itk::BinaryFunctorImageFilter< TInputImage1, TInputImage2, TOutputImage, itk::Function::Mult< TInputImage1::PixelType, TInputImage2::PixelType, TOutputImage::PixelType > >, itk::CannyEdgeDetectionImageFilter< Superclass::ImageType, Superclass::ImageType >, itk::NaryFunctorImageFilter< TInputImage, TOutputImage, itk::Functor::Add1< TInputImage::PixelType, TInputImage::PixelType > >, itk::NaryFunctorImageFilter< TInputImage, TOutputImage, itk::Functor::Maximum1< TInputImage::PixelType, TInputImage::PixelType > >, itk::NaryFunctorImageFilter< TInputImage, TOutputImage, itk::Functor::ComposeRGBA< TInputImage::PixelType > >, itk::ProjectionImageFilter< TInputImage, TOutputImage, itk::Function::MedianAccumulator< TInputImage::PixelType > >, itk::ProjectionImageFilter< TInputImage, TOutputImage, itk::Function::MaximumAccumulator< TInputImage::PixelType > >, itk::ProjectionImageFilter< TInputImage, TOutputImage, itk::Function::BinaryThresholdAccumulator< TInputImage::PixelType, TOutputImage::PixelType > >, itk::ProjectionImageFilter< TInputImage, TOutputImage, itk::Function::MinimumAccumulator< TInputImage::PixelType > >, itk::ProjectionImageFilter< TInputImage, TOutputImage, itk::Function::MeanAccumulator< TInputImage::PixelType, TAccumulate > >, itk::ProjectionImageFilter< TInputImage, TOutputImage, itk::Function::StandardDeviationAccumulator< TInputImage::PixelType, TAccumulate > >, itk::ProjectionImageFilter< TInputImage, TOutputImage, itk::Function::SumAccumulator< TInputImage::PixelType, TOutputImage::PixelType > >, itk::ProjectionImageFilter< TInputImage, TOutputImage, itk::Function::BinaryAccumulator< TInputImage::PixelType, TOutputImage::PixelType > >, itk::ReconstructionImageFilter< TInputImage, TOutputImage, std::greater< TOutputImage::PixelType > >, itk::ReconstructionImageFilter< TInputImage, TOutputImage, std::less< TOutputImage::PixelType > >, itk::TernaryFunctorImageFilter< TInputImage, TInputImage, TInputImage, TOutputImage, itk::Function::Compose3DVector< TInputImage::PixelType > >, itk::TernaryFunctorImageFilter< TInputImage1, TInputImage2, TInputImage3, TOutputImage, itk::Function::Modulus3< TInputImage1::PixelType, TInputImage2::PixelType, TInputImage3::PixelType, TOutputImage::PixelType > >, itk::TernaryFunctorImageFilter< TInputImage1, TInputImage2, TInputImage3, TOutputImage, itk::Function::ModulusSquare3< TInputImage1::PixelType, TInputImage2::PixelType, TInputImage3::PixelType, TOutputImage::PixelType > >, itk::TernaryFunctorImageFilter< TInputImage1, TInputImage2, TInputImage3, TOutputImage, itk::Function::Add3< TInputImage1::PixelType, TInputImage2::PixelType, TInputImage3::PixelType, TOutputImage::PixelType > >, itk::TernaryFunctorImageFilter< TInputImage, TInputImage, TInputImage, TOutputImage, itk::Function::Compose3DCovariantVector< TInputImage::PixelType > >, itk::TernaryFunctorImageFilter< TInputImage, TInputImage, TInputImage, TOutputImage, itk::Function::ComposeRGB< TInputImage::PixelType > >, itk::InPlaceImageFilter< TDeformationField, TDeformationField >, itk::InPlaceImageFilter< TLabelImage, TOutputImage >, itk::InPlaceImageFilter< TInputImage >, itk::InPlaceImageFilter< TInputImage, TSparseOutputImage >, itk::InPlaceImageFilter< TFeatureImageType, Superclass::ImageType >, itk::InPlaceImageFilter< TInputImage1, TOutputImage >, itk::InPlaceImageFilter< TInputImage, itk::Image< TOutputPixelType,::itk::GetImageDimension< TInputImage >::ImageDimension > >, itk::InPlaceImageFilter< TInputImage1, itk::Functor::MakeJoin< TInputImage1, TInputImage2 >::ImageType >, itk::InPlaceImageFilter< itk::Image< TInputPixel1, NDimension >, itk::Image< std::complex< TOutputPixel >, NDimension > >, itk::InPlaceImageFilter< TInputImageType, TSparseOutputImageType >, itk::InPlaceImageFilter< TImage, TImage >, itk::AnchorErodeDilateImageFilter< TImage, TKernel, std::less< TImage::TImage::PixelType >, std::less_equal< TImage::TImage::PixelType > >, itk::AnchorErodeDilateImageFilter< TImage, TKernel, std::greater< TImage::TImage::PixelType >, std::greater_equal< TImage::TImage::PixelType > >, itk::AnchorOpenCloseImageFilter< TImage, TKernel, std::greater< TImage::PixelType >, std::less< TImage::PixelType >, std::greater_equal< TImage::PixelType >, std::less_equal< TImage::PixelType > >, itk::AnchorOpenCloseImageFilter< TImage, TKernel, std::less< TImage::PixelType >, std::greater< TImage::PixelType >, std::less_equal< TImage::PixelType >, std::greater_equal< TImage::PixelType > >, itk::ValuedRegionalExtremaImageFilter< TInputImage, TOutputImage, std::greater< TInputImage::PixelType >, std::greater< TOutputImage::PixelType > >, itk::ValuedRegionalExtremaImageFilter< TInputImage, TOutputImage, std::less< TInputImage::PixelType >, std::less< TOutputImage::PixelType > >, itk::VanHerkGilWermanErodeDilateImageFilter< TImage, TKernel, itk::MinFunctor< TImage::PixelType > >, and itk::VanHerkGilWermanErodeDilateImageFilter< TImage, TKernel, itk::MaxFunctor< TImage::PixelType > >. Reimplemented in itk::BinaryPruningImageFilter< TInputImage, TOutputImage >, itk::BinaryThinningImageFilter< TInputImage, TOutputImage >, itk::ImagePCAShapeModelEstimator< TInputImage, TOutputImage >, itk::KLMRegionGrowImageFilter< TInputImage, TOutputImage >, itk::LabelVotingImageFilter< TInputImage, TOutputImage >, itk::MRFImageFilter< TInputImage, TClassifiedImage >, itk::OtsuMultipleThresholdsImageFilter< TInputImage, TOutputImage >, itk::OtsuThresholdImageFilter< TInputImage, TOutputImage >, itk::SegmentationLevelSetImageFilter< TInputImage, TFeatureImage, TOutputPixelType >, itk::VoronoiPartitioningImageFilter< TInputImage, TOutputImage >, itk::VoronoiSegmentationImageFilter< TInputImage, TOutputImage, TBinaryPriorImage >, itk::VoronoiSegmentationRGBImageFilter< TInputImage, TOutputImage >, itk::AccumulateImageFilter< TInputImage, TOutputImage >, itk::BinaryDilateImageFilter< TInputImage, TOutputImage, TKernel >, itk::BinaryErodeImageFilter< TInputImage, TOutputImage, TKernel >, itk::BinaryMedianImageFilter< TInputImage, TOutputImage >, itk::BinaryMorphologyImageFilter< TInputImage, TOutputImage, TKernel >, itk::BlackTopHatImageFilter< TInputImage, TOutputImage, TKernel >, itk::ClosingByReconstructionImageFilter< TInputImage, TOutputImage, TKernel >, itk::ConnectedComponentFunctorImageFilter< TInputImage, TOutputImage, TFunctor, TMaskImage >, itk::ConnectedComponentImageFilter< TInputImage, TOutputImage, TMaskImage >, itk::ConnectedThresholdImageFilter< TInputImage, TOutputImage >, itk::ExtractImageFilter< TInputImage, TOutputImage >, itk::FastIncrementalBinaryDilateImageFilter< TInputImage, TOutputImage, TKernel >, itk::GradientImageFilter< TInputImage, TOperatorValueType, TOutputValueType >, itk::GrayscaleConnectedClosingImageFilter< TInputImage, TOutputImage >, itk::GrayscaleConnectedOpeningImageFilter< TInputImage, TOutputImage >, itk::GrayscaleDilateImageFilter< TInputImage, TOutputImage, TKernel >, itk::GrayscaleErodeImageFilter< TInputImage, TOutputImage, TKernel >, itk::GrayscaleFillholeImageFilter< TInputImage, TOutputImage >, itk::GrayscaleFunctionDilateImageFilter< TInputImage, TOutputImage, TKernel >, itk::GrayscaleFunctionErodeImageFilter< TInputImage, TOutputImage, TKernel >, itk::GrayscaleGrindPeakImageFilter< TInputImage, TOutputImage >, itk::GrayscaleMorphologicalClosingImageFilter< TInputImage, TOutputImage, TKernel >, itk::GrayscaleMorphologicalOpeningImageFilter< TInputImage, TOutputImage, TKernel >, itk::HConcaveImageFilter< TInputImage, TOutputImage >, itk::HConvexImageFilter< TInputImage, TOutputImage >, itk::HMaximaImageFilter< TInputImage, TOutputImage >, itk::HMinimaImageFilter< TInputImage, TOutputImage >, itk::JoinSeriesImageFilter< TInputImage, TOutputImage >, itk::LaplacianImageFilter< TInputImage, TOutputImage >, itk::MaskNeighborhoodOperatorImageFilter< TInputImage, TMaskImage, TOutputImage, TOperatorValueType >, itk::MeanImageFilter< TInputImage, TOutputImage >, itk::MedianImageFilter< TInputImage, TOutputImage >, itk::MinimumMaximumImageFilter< TInputImage >, itk::MorphologicalGradientImageFilter< TInputImage, TOutputImage, TKernel >, itk::NaryFunctorImageFilter< TInputImage, TOutputImage, TFunction >, itk::NeighborhoodConnectedImageFilter< TInputImage, TOutputImage >, itk::NeighborhoodOperatorImageFilter< TInputImage, TOutputImage, TOperatorValueType >, itk::NoiseImageFilter< TInputImage, TOutputImage >, itk::NormalizedCorrelationImageFilter< TInputImage, TMaskImage, TOutputImage, TOperatorValueType >, itk::OpeningByReconstructionImageFilter< TInputImage, TOutputImage, TKernel >, itk::OrientImageFilter< TInputImage, TOutputImage >, itk::PasteImageFilter< TInputImage, TSourceImage, TOutputImage >, itk::ProjectionImageFilter< TInputImage, TOutputImage, TAccumulator >, itk::ReflectImageFilter< TInputImage, TOutputImage >, itk::RelabelComponentImageFilter< TInputImage, TOutputImage >, itk::ResampleImageFilter< TInputImage, TOutputImage, TInterpolatorPrecisionType >, itk::SignedMaurerDistanceMapImageFilter< TInputImage, TOutputImage >, itk::SimpleContourExtractorImageFilter< TInputImage, TOutputImage >, itk::SobelEdgeDetectionImageFilter< TInputImage, TOutputImage >, itk::TileImageFilter< TInputImage, TOutputImage >, itk::TileImageFilter< TInputImage, TOutputImage >, itk::VotingBinaryHoleFillingImageFilter< TInputImage, TOutputImage >, itk::VotingBinaryImageFilter< TInputImage, TOutputImage >, itk::WarpImageFilter< TInputImage, TOutputImage, TDeformationField >, itk::WhiteTopHatImageFilter< TInputImage, TOutputImage, TKernel >, itk::ImageAndPathToImageFilter< TInputImage, TInputPath, TOutputImage >, itk::InPlaceImageFilter< TInputImage, TOutputImage >, itk::AnchorErodeDilateImageFilter< TImage, TKernel, TFunction1, TFunction2 >, itk::AnchorOpenCloseImageFilter< TImage, TKernel, LessThan, GreaterThan, LessEqual, GreaterEqual >, itk::BasicDilateImageFilter< TInputImage, TOutputImage, TKernel >, itk::BasicErodeImageFilter< TInputImage, TOutputImage, TKernel >, itk::BoxMeanImageFilter< TInputImage, TOutputImage >, itk::BoxSigmaImageFilter< TInputImage, TOutputImage >, itk::KappaSigmaThresholdImageFilter< TInputImage, TMaskImage, TOutputImage >, itk::MorphologicalWatershedImageFilter< TInputImage, TOutputImage >, itk::BinaryMorphologyImageFilter< TInputImage, TOutputImage, TKernel >, itk::BlackTopHatImageFilter< TInputImage, TOutputImage, TKernel >, itk::MeanImageFilter< TInputImage, TOutputImage >, itk::MedianImageFilter< TInputImage, TOutputImage >, itk::NoiseImageFilter< TInputImage, TOutputImage >, itk::ResampleImageFilter< TInputImage, TOutputImage, TInterpolatorPrecisionType >, itk::SimpleContourExtractorImageFilter< TInputImage, TOutputImage >, itk::WhiteTopHatImageFilter< TInputImage, TOutputImage, TKernel >, itk::RegionalMaximaImageFilter< TInputImage, TOutputImage >, itk::RegionalMinimaImageFilter< TInputImage, TOutputImage >, itk::ValuedRegionalExtremaImageFilter< TInputImage, TOutputImage, TFunction1, TFunction2 >, itk::VanHerkGilWermanErodeDilateImageFilter< TImage, TKernel, TFunction1 >, itk::ConnectedComponentFunctorImageFilter< TInputImage, TOutputImage, itk::Functor::SimilarPixelsFunctor< TInputImage::ValueType >, TMaskImage >, itk::ConnectedComponentFunctorImageFilter< TInputImage, TOutputImage, itk::Functor::SimilarVectorsFunctor< TInputImage::ValueType >, TMaskImage >, itk::NaryFunctorImageFilter< TInputImage, TOutputImage, itk::Functor::Add1< TInputImage::PixelType, TInputImage::PixelType > >, itk::NaryFunctorImageFilter< TInputImage, TOutputImage, itk::Functor::Maximum1< TInputImage::PixelType, TInputImage::PixelType > >, itk::NaryFunctorImageFilter< TInputImage, TOutputImage, itk::Functor::ComposeRGBA< TInputImage::PixelType > >, itk::ProjectionImageFilter< TInputImage, TOutputImage, itk::Function::MedianAccumulator< TInputImage::PixelType > >, itk::ProjectionImageFilter< TInputImage, TOutputImage, itk::Function::MaximumAccumulator< TInputImage::PixelType > >, itk::ProjectionImageFilter< TInputImage, TOutputImage, itk::Function::BinaryThresholdAccumulator< TInputImage::PixelType, TOutputImage::PixelType > >, itk::ProjectionImageFilter< TInputImage, TOutputImage, itk::Function::MinimumAccumulator< TInputImage::PixelType > >, itk::ProjectionImageFilter< TInputImage, TOutputImage, itk::Function::MeanAccumulator< TInputImage::PixelType, TAccumulate > >, itk::ProjectionImageFilter< TInputImage, TOutputImage, itk::Function::StandardDeviationAccumulator< TInputImage::PixelType, TAccumulate > >, itk::ProjectionImageFilter< TInputImage, TOutputImage, itk::Function::SumAccumulator< TInputImage::PixelType, TOutputImage::PixelType > >, itk::ProjectionImageFilter< TInputImage, TOutputImage, itk::Function::BinaryAccumulator< TInputImage::PixelType, TOutputImage::PixelType > >, itk::InPlaceImageFilter< TDeformationField, TDeformationField >, itk::InPlaceImageFilter< TLabelImage, TOutputImage >, itk::InPlaceImageFilter< TInputImage >, itk::InPlaceImageFilter< TInputImage, TSparseOutputImage >, itk::InPlaceImageFilter< TFeatureImageType, Superclass::ImageType >, itk::InPlaceImageFilter< TInputImage1, TOutputImage >, itk::InPlaceImageFilter< TInputImage, itk::Image< TOutputPixelType,::itk::GetImageDimension< TInputImage >::ImageDimension > >, itk::InPlaceImageFilter< TInputImage1, itk::Functor::MakeJoin< TInputImage1, TInputImage2 >::ImageType >, itk::InPlaceImageFilter< itk::Image< TInputPixel1, NDimension >, itk::Image< std::complex< TOutputPixel >, NDimension > >, itk::InPlaceImageFilter< TInputImageType, TSparseOutputImageType >, itk::InPlaceImageFilter< TImage, TImage >, itk::AnchorErodeDilateImageFilter< TImage, TKernel, std::less< TImage::TImage::PixelType >, std::less_equal< TImage::TImage::PixelType > >, itk::AnchorErodeDilateImageFilter< TImage, TKernel, std::greater< TImage::TImage::PixelType >, std::greater_equal< TImage::TImage::PixelType > >, itk::AnchorOpenCloseImageFilter< TImage, TKernel, std::greater< TImage::PixelType >, std::less< TImage::PixelType >, std::greater_equal< TImage::PixelType >, std::less_equal< TImage::PixelType > >, itk::AnchorOpenCloseImageFilter< TImage, TKernel, std::less< TImage::PixelType >, std::greater< TImage::PixelType >, std::less_equal< TImage::PixelType >, std::greater_equal< TImage::PixelType > >, itk::ValuedRegionalExtremaImageFilter< TInputImage, TOutputImage, std::greater< TInputImage::PixelType >, std::greater< TOutputImage::PixelType > >, itk::ValuedRegionalExtremaImageFilter< TInputImage, TOutputImage, std::less< TInputImage::PixelType >, std::less< TOutputImage::PixelType > >, itk::VanHerkGilWermanErodeDilateImageFilter< TImage, TKernel, itk::MinFunctor< TImage::PixelType > >, and itk::VanHerkGilWermanErodeDilateImageFilter< TImage, TKernel, itk::MaxFunctor< TImage::PixelType > >. A filter may need to release its input's bulk data after it has finished calculating a new output. The filter may need to release the inputs because the user has turned on the ReleaseDataFlag or it may need to release the inputs because the filter is an "in place" filter and it has overwritten its input with its output data. The implementation here simply checks the ReleaseDataFlag of the inputs. InPlaceImageFilter overrides this method so release the input it has overwritten. Reimplemented in itk::InPlaceImageFilter< TInputImage, TOutputImage >, itk::InPlaceImageFilter< TDeformationField, TDeformationField >, itk::InPlaceImageFilter< TLabelImage, TOutputImage >, itk::InPlaceImageFilter< TInputImage >, itk::InPlaceImageFilter< TInputImage, TSparseOutputImage >, itk::InPlaceImageFilter< TFeatureImageType, Superclass::ImageType >, itk::InPlaceImageFilter< TInputImage1, TOutputImage >, itk::InPlaceImageFilter< TInputImage, itk::Image< TOutputPixelType,::itk::GetImageDimension< TInputImage >::ImageDimension > >, itk::InPlaceImageFilter< TInputImage1, itk::Functor::MakeJoin< TInputImage1, TInputImage2 >::ImageType >, itk::InPlaceImageFilter< itk::Image< TInputPixel1, NDimension >, itk::Image< std::complex< TOutputPixel >, NDimension > >, itk::InPlaceImageFilter< TInputImageType, TSparseOutputImageType >, and itk::InPlaceImageFilter< TImage, TImage >. Gets and sets for member variables. If an imaging filter can be implemented as a multithreaded algorithm, the filter will provide an implementation of ThreadedGenerateData(). This superclass will automatically split the output image into a number of pieces, spawn multiple threads, and call ThreadedGenerateData() in each thread. Prior to spawning threads, the BeforeThreadedGenerateData() method is called. After all the threads have completed, the AfterThreadedGenerateData() method is called. If an image processing filter cannot support threading, that filter should provide an implementation of the GenerateData() method instead of providing an implementation of ThreadedGenerateData(). If a filter provides a GenerateData() method as its implementation, then the filter is responsible for allocating the output data. If a filter provides a ThreadedGenerateData() method as its implementation, then the output memory will allocated automatically by this superclass. The ThreadedGenerateData() method should only produce the output specified by "outputThreadRegion" parameter. ThreadedGenerateData() cannot write to any other portion of the output image (as this is responsibility of a different thread). 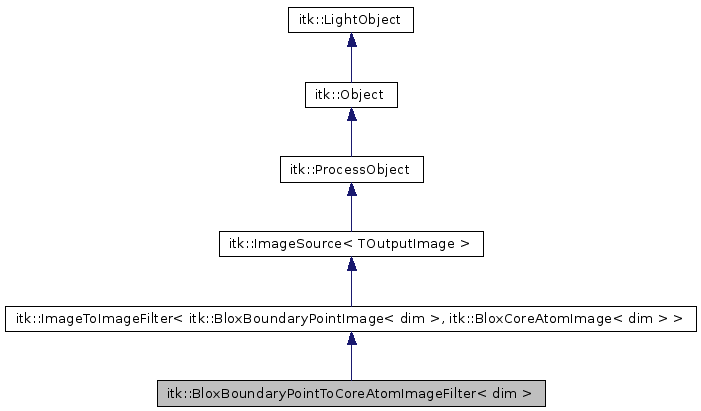 Reimplemented in itk::BinaryFunctorImageFilter< TInputImage1, TInputImage2, TOutputImage, TFunction >, itk::BinaryMedianImageFilter< TInputImage, TOutputImage >, itk::CheckerBoardImageFilter< TImage >, itk::GrayscaleGeodesicDilateImageFilter< TInputImage, TOutputImage >, itk::GrayscaleGeodesicErodeImageFilter< TInputImage, TOutputImage >, itk::InterpolateImagePointsFilter< TInputImage, TOutputImage, TCoordType, InterpolatorType >, itk::JoinSeriesImageFilter< TInputImage, TOutputImage >, itk::MeanImageFilter< TInputImage, TOutputImage >, itk::MedianImageFilter< TInputImage, TOutputImage >, itk::NaryFunctorImageFilter< TInputImage, TOutputImage, TFunction >, itk::NoiseImageFilter< TInputImage, TOutputImage >, itk::ProjectionImageFilter< TInputImage, TOutputImage, TAccumulator >, itk::SignedMaurerDistanceMapImageFilter< TInputImage, TOutputImage >, itk::SimpleContourExtractorImageFilter< TInputImage, TOutputImage >, itk::TernaryFunctorImageFilter< TInputImage1, TInputImage2, TInputImage3, TOutputImage, TFunction >, itk::ThresholdImageFilter< TImage >, itk::TwoOutputExampleImageFilter< TImage >, itk::UnaryFunctorImageFilter< TInputImage, TOutputImage, TFunction >, itk::VotingBinaryHoleFillingImageFilter< TInputImage, TOutputImage >, itk::VotingBinaryImageFilter< TInputImage, TOutputImage >, itk::DifferenceImageFilter< TInputImage, TOutputImage >, itk::MeanImageFilter< TInputImage, TOutputImage >, itk::MedianImageFilter< TInputImage, TOutputImage >, itk::NoiseImageFilter< TInputImage, TOutputImage >, itk::SimpleContourExtractorImageFilter< TInputImage, TOutputImage >, itk::TransformToDeformationFieldSource< TOutputImage, TTransformPrecisionType >, itk::BinaryFunctorImageFilter< TInputImage1, TInputImage2, TOutputImage, itk::Function::Sub2< TInputImage1::PixelType, TInputImage2::PixelType, TOutputImage::PixelType > >, itk::BinaryFunctorImageFilter< TInputImage1, TInputImage2, TOutputImage, itk::Functor::Atan2< TInputImage1::PixelType, TInputImage2::PixelType, TOutputImage::PixelType > >, itk::BinaryFunctorImageFilter< TInputImage1, TInputImage2, TOutputImage, itk::Functor::AND< TInputImage1::PixelType, TInputImage2::PixelType, TOutputImage::PixelType > >, itk::BinaryFunctorImageFilter< TInputImage1, TInputImage2, TOutputImage, itk::Function::Maximum< TInputImage1::PixelType, TInputImage2::PixelType, TOutputImage::PixelType > >, itk::BinaryFunctorImageFilter< TInputImage1, TInputImage2, TOutputImage, itk::Functor::ConstrainedValueDifference< TInputImage1::PixelType, TInputImage2::PixelType, TOutputImage::PixelType > >, itk::BinaryFunctorImageFilter< TInputImage, TLabelImage, TOutputImage, itk::Functor::LabelOverlayFunctor< TInputImage::PixelType, TLabelImage::PixelType, TOutputImage::PixelType > >, itk::BinaryFunctorImageFilter< TInputImage1, TInputImage2, TOutputImage, itk::Functor::SquaredDifference2< TInputImage1::PixelType, TInputImage2::PixelType, TOutputImage::PixelType > >, itk::BinaryFunctorImageFilter< TInputImage, TInputImage, TOutputImage, itk::Function::Compose2DCovariantVector< TInputImage::PixelType > >, itk::BinaryFunctorImageFilter< itk::Image< TInputPixel1, NDimension >, itk::Image< TInputPixel2, NDimension >, itk::Image< std::complex< TOutputPixel >, NDimension >, itk::Functor::RealAndImaginaryToComplex< TInputPixel1, TInputPixel2, TOutputPixel > >, itk::BinaryFunctorImageFilter< TInputImage1, TInputImage2, TOutputImage, itk::Functor::Add2< TInputImage1::PixelType, TInputImage2::PixelType, TOutputImage::PixelType > >, itk::BinaryFunctorImageFilter< TInputImage, TInputImage, TOutputImage, itk::Function::Compose2DVector< TInputImage::PixelType > >, itk::BinaryFunctorImageFilter< TInputImage, TMaskImage, TOutputImage, itk::Functor::MaskInput< TInputImage::PixelType, TMaskImage::PixelType, TOutputImage::PixelType > >, itk::BinaryFunctorImageFilter< TInputImage1, TInputImage2, TOutputImage, itk::Functor::AbsoluteValueDifference2< TInputImage1::PixelType, TInputImage2::PixelType, TOutputImage::PixelType > >, itk::BinaryFunctorImageFilter< TInputImage1, TInputImage2, TOutputImage, itk::Functor::XOR< TInputImage1::PixelType, TInputImage2::PixelType, TOutputImage::PixelType > >, itk::BinaryFunctorImageFilter< TInputImage1, TInputImage2, TOutputImage, itk::Function::Minimum< TInputImage1::PixelType, TInputImage2::PixelType, TOutputImage::PixelType > >, itk::BinaryFunctorImageFilter< TInputImage, TMaskImage, TOutputImage, itk::Functor::MaskNegatedInput< TInputImage::PixelType, TMaskImage::PixelType, TOutputImage::PixelType > >, itk::BinaryFunctorImageFilter< TInputImage1, TInputImage2, TOutputImage, itk::Functor::Modulus2< TInputImage1::PixelType, TInputImage2::PixelType, TOutputImage::PixelType > >, itk::BinaryFunctorImageFilter< TInputImage1, TInputImage2, TOutputImage, itk::Functor::OR< TInputImage1::PixelType, TInputImage2::PixelType, TOutputImage::PixelType > >, itk::BinaryFunctorImageFilter< TInputImage1, TInputImage2, TOutputImage, itk::Functor::ConstrainedValueAddition< TInputImage1::PixelType, TInputImage2::PixelType, TOutputImage::PixelType > >, itk::BinaryFunctorImageFilter< TInputImage1, TInputImage2, TOutputImage, itk::Functor::WeightedAdd2< TInputImage1::PixelType, TInputImage2::PixelType, TOutputImage::PixelType > >, itk::BinaryFunctorImageFilter< TInputImage1, TInputImage2, TOutputImage, itk::Function::Div< TInputImage1::PixelType, TInputImage2::PixelType, TOutputImage::PixelType > >, itk::BinaryFunctorImageFilter< TInputImage1, TInputImage2, itk::Functor::MakeJoin< TInputImage1, TInputImage2 >::ImageType, itk::Functor::MakeJoin< TInputImage1, TInputImage2 >::itk::Functor::JoinFunctorFunctorType >, itk::BinaryFunctorImageFilter< TInputImage1, TInputImage2, TOutputImage, itk::Function::Mult< TInputImage1::PixelType, TInputImage2::PixelType, TOutputImage::PixelType > >, itk::BinaryFunctorImageFilter< itk::Image< TInputPixel1, NDimension >, itk::Image< TInputPixel2, NDimension >, itk::Image< std::complex< TOutputPixel >, NDimension >, itk::Functor::MagnitudeAndPhaseToComplex< TInputPixel1, TInputPixel2, TOutputPixel > >, itk::NaryFunctorImageFilter< TInputImage, TOutputImage, itk::Functor::Add1< TInputImage::PixelType, TInputImage::PixelType > >, itk::NaryFunctorImageFilter< TInputImage, TOutputImage, itk::Functor::Maximum1< TInputImage::PixelType, TInputImage::PixelType > >, itk::NaryFunctorImageFilter< TInputImage, TOutputImage, itk::Functor::ComposeRGBA< TInputImage::PixelType > >, itk::ProjectionImageFilter< TInputImage, TOutputImage, itk::Function::MedianAccumulator< TInputImage::PixelType > >, itk::ProjectionImageFilter< TInputImage, TOutputImage, itk::Function::MaximumAccumulator< TInputImage::PixelType > >, itk::ProjectionImageFilter< TInputImage, TOutputImage, itk::Function::BinaryThresholdAccumulator< TInputImage::PixelType, TOutputImage::PixelType > >, itk::ProjectionImageFilter< TInputImage, TOutputImage, itk::Function::MinimumAccumulator< TInputImage::PixelType > >, itk::ProjectionImageFilter< TInputImage, TOutputImage, itk::Function::MeanAccumulator< TInputImage::PixelType, TAccumulate > >, itk::ProjectionImageFilter< TInputImage, TOutputImage, itk::Function::StandardDeviationAccumulator< TInputImage::PixelType, TAccumulate > >, itk::ProjectionImageFilter< TInputImage, TOutputImage, itk::Function::SumAccumulator< TInputImage::PixelType, TOutputImage::PixelType > >, itk::ProjectionImageFilter< TInputImage, TOutputImage, itk::Function::BinaryAccumulator< TInputImage::PixelType, TOutputImage::PixelType > >, itk::TernaryFunctorImageFilter< TInputImage, TInputImage, TInputImage, TOutputImage, itk::Function::Compose3DVector< TInputImage::PixelType > >, itk::TernaryFunctorImageFilter< TInputImage1, TInputImage2, TInputImage3, TOutputImage, itk::Function::Modulus3< TInputImage1::PixelType, TInputImage2::PixelType, TInputImage3::PixelType, TOutputImage::PixelType > >, itk::TernaryFunctorImageFilter< TInputImage1, TInputImage2, TInputImage3, TOutputImage, itk::Function::ModulusSquare3< TInputImage1::PixelType, TInputImage2::PixelType, TInputImage3::PixelType, TOutputImage::PixelType > >, itk::TernaryFunctorImageFilter< TInputImage1, TInputImage2, TInputImage3, TOutputImage, itk::Function::Add3< TInputImage1::PixelType, TInputImage2::PixelType, TInputImage3::PixelType, TOutputImage::PixelType > >, itk::TernaryFunctorImageFilter< TInputImage, TInputImage, TInputImage, TOutputImage, itk::Function::Compose3DCovariantVector< TInputImage::PixelType > >, itk::TernaryFunctorImageFilter< TInputImage, TInputImage, TInputImage, TOutputImage, itk::Function::ComposeRGB< TInputImage::PixelType > >, itk::UnaryFunctorImageFilter< TInputImage, TOutputImage, itk::Functor::DivideByConstant< TInputImage::PixelType, TConstant, TOutputImage::PixelType > >, itk::UnaryFunctorImageFilter< TInputImage, TOutputImage, itk::Function::Sqrt< TInputImage::PixelType, TOutputImage::PixelType > >, itk::UnaryFunctorImageFilter< TInputImage, TOutputImage, itk::Functor::SymmetricEigenAnalysisFunction< TInputImage::PixelType, TOutputImage::PixelType > >, itk::UnaryFunctorImageFilter< TInputImage, TOutputImage, itk::Function::Square< TInputImage::PixelType, TOutputImage::PixelType > >, itk::UnaryFunctorImageFilter< TInputImage, TOutputImage, itk::Function::Sigmoid< TInputImage::PixelType, TOutputImage::PixelType > >, itk::UnaryFunctorImageFilter< TInputImage, TOutputImage, itk::Function::Sin< TInputImage::PixelType, TOutputImage::PixelType > >, itk::UnaryFunctorImageFilter< TInputImage, TOutputImage, itk::Functor::BinaryThreshold< TInputImage::PixelType, TOutputImage::PixelType > >, itk::UnaryFunctorImageFilter< TInputImage, TOutputImage, itk::Functor::Cos< TInputImage::PixelType, TOutputImage::PixelType > >, itk::UnaryFunctorImageFilter< TInputImage, TOutputImage, itk::Functor::IntensityLinearTransform< TInputImage::PixelType, TOutputImage::PixelType > >, itk::UnaryFunctorImageFilter< TInputImage, TOutputImage, itk::Functor::ThresholdLabeler< TInputImage::PixelType, TOutputImage::PixelType > >, itk::UnaryFunctorImageFilter< TInputImage, TOutputImage, itk::Functor::MatrixIndexSelection< TInputImage::PixelType, TOutputImage::PixelType > >, itk::UnaryFunctorImageFilter< TInputImage, TOutputImage, itk::Functor::ModulusTransform< TInputImage::PixelType, TOutputImage::PixelType > >, itk::UnaryFunctorImageFilter< TInputImage, TOutputImage, itk::Functor::GradientMagnitude< TInputImage::PixelType, TOutputImage::PixelType > >, itk::UnaryFunctorImageFilter< TInputImage, TOutputImage, itk::Functor::ChangeLabel< TInputImage::PixelType, TOutputImage::PixelType > >, itk::UnaryFunctorImageFilter< TInputImage, TOutputImage, itk::Functor::BoundedReciprocal< TInputImage::PixelType, TOutputImage::PixelType > >, itk::UnaryFunctorImageFilter< TInputImage, TOutputImage, itk::Function::ExpNegative< TInputImage::PixelType, TOutputImage::PixelType > >, itk::UnaryFunctorImageFilter< TInputImage, TOutputImage, itk::Function::RGBToLuminance< TInputImage::PixelType, TOutputImage::PixelType > >, itk::UnaryFunctorImageFilter< TInputImage, TOutputImage, itk::Functor::SubtractConstantFrom< TInputImage::PixelType, TConstant, TOutputImage::PixelType > >, itk::UnaryFunctorImageFilter< TInputImage, TOutputImage, itk::Functor::Acos< TInputImage::PixelType, TOutputImage::PixelType > >, itk::UnaryFunctorImageFilter< TInputImage, TOutputImage, itk::Function::Log10< TInputImage::PixelType, TOutputImage::PixelType > >, itk::UnaryFunctorImageFilter< TInputImage, TOutputImage, itk::Function::ComplexToImaginary< TInputImage::PixelType, TOutputImage::PixelType > >, itk::UnaryFunctorImageFilter< TInputImage, TOutputImage, itk::Functor::IntensityWindowingTransform< TInputImage::PixelType, TOutputImage::PixelType > >, itk::UnaryFunctorImageFilter< TInputImage, TOutputImage, itk::Functor::VectorCast< TInputImage::PixelType, TOutputImage::PixelType > >, itk::UnaryFunctorImageFilter< TInputImage, TOutputImage, itk::Function::ComplexToPhase< TInputImage::PixelType, TOutputImage::PixelType > >, itk::UnaryFunctorImageFilter< TInputImage, TOutputImage, itk::Functor::EdgePotential< TInputImage::PixelType, TOutputImage::PixelType > >, itk::UnaryFunctorImageFilter< TInputImage, TOutputImage, itk::Functor::AddConstantTo< TInputImage::PixelType, TConstant, TOutputImage::PixelType > >, itk::UnaryFunctorImageFilter< TInputImage, TOutputImage, itk::Functor::AccessorFunctor< TInputImage::PixelType, TAccessor > >, itk::UnaryFunctorImageFilter< TInputImage, TOutputImage, itk::Functor::Atan< TInputImage::PixelType, TOutputImage::PixelType > >, itk::UnaryFunctorImageFilter< TInputImage, TOutputImage, itk::Functor::VectorIndexSelectionCast< TInputImage::PixelType, TOutputImage::PixelType > >, itk::UnaryFunctorImageFilter< TInputImage, TOutputImage, itk::Function::ComplexToReal< TInputImage::PixelType, TOutputImage::PixelType > >, itk::UnaryFunctorImageFilter< TInputImage, TOutputImage, itk::Function::Tan< TInputImage::PixelType, TOutputImage::PixelType > >, itk::UnaryFunctorImageFilter< TInputImage, TOutputImage, itk::Function::Abs< TInputImage::PixelType, TOutputImage::PixelType > >, itk::UnaryFunctorImageFilter< TInputImage, TOutputImage, itk::Function::Log< TInputImage::PixelType, TOutputImage::PixelType > >, itk::UnaryFunctorImageFilter< TInputImage, TOutputImage, itk::Functor::Asin< TInputImage::PixelType, TOutputImage::PixelType > >, itk::UnaryFunctorImageFilter< TInputImage, TOutputImage, itk::Functor::TensorFractionalAnisotropyFunction< TInputImage::PixelType > >, itk::UnaryFunctorImageFilter< TInputImage, TOutputImage, itk::Function::ComplexToModulus< TInputImage::PixelType, TOutputImage::PixelType > >, itk::UnaryFunctorImageFilter< TFeatureImageType, Superclass::ImageType, itk::Functor::Cast< TFeatureImageType::PixelType, Superclass::ImageType::PixelType > >, itk::UnaryFunctorImageFilter< TInputImage, TOutputImage, itk::Function::Exp< TInputImage::PixelType, TOutputImage::PixelType > >, itk::UnaryFunctorImageFilter< TInputImage, TOutputImage, itk::Functor::NOT< TInputImage::PixelType, TOutputImage::PixelType > >, itk::UnaryFunctorImageFilter< TInputImage, TOutputImage, itk::Functor::MultiplyByConstant< TInputImage::PixelType, TConstant, TOutputImage::PixelType > >, itk::UnaryFunctorImageFilter< TLabelImage, TOutputImage, itk::Functor::LabelToRGBFunctor< TLabelImage::PixelType, TOutputImage::PixelType > >, itk::UnaryFunctorImageFilter< TInputImage, TOutputImage, itk::Functor::VectorMagnitudeLinearTransform< TInputImage::PixelType, TOutputImage::PixelType > >, itk::UnaryFunctorImageFilter< TInputImage, TOutputImage, itk::Functor::TensorRelativeAnisotropyFunction< TInputImage::PixelType > >, itk::UnaryFunctorImageFilter< TInputImage, TOutputImage, itk::Functor::Cast< TInputImage::PixelType, TOutputImage::PixelType > >, and itk::UnaryFunctorImageFilter< TInputImage, TOutputImage, itk::Functor::InvertIntensityTransform< TInputImage::PixelType, TOutputImage::PixelType > >.